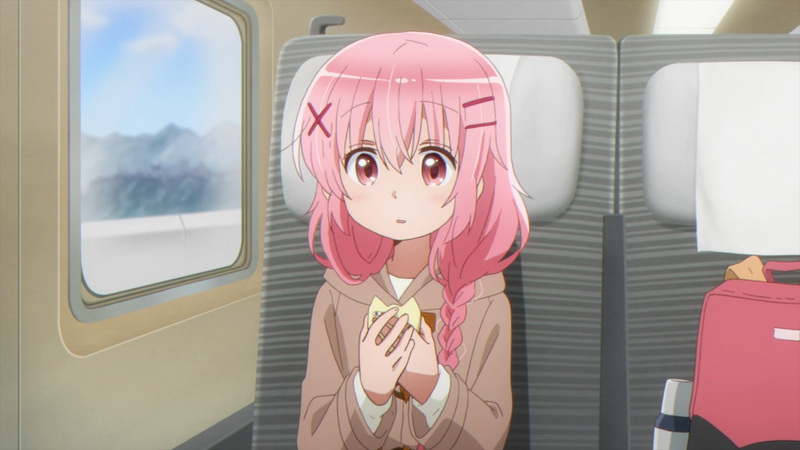 Kaos-sensei has finally gotten her big break. 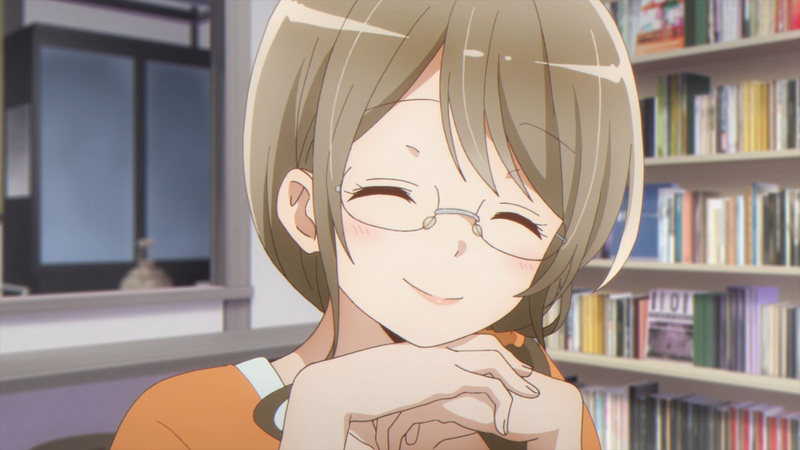 She has been given a two part guest appearance in order to prove herself. 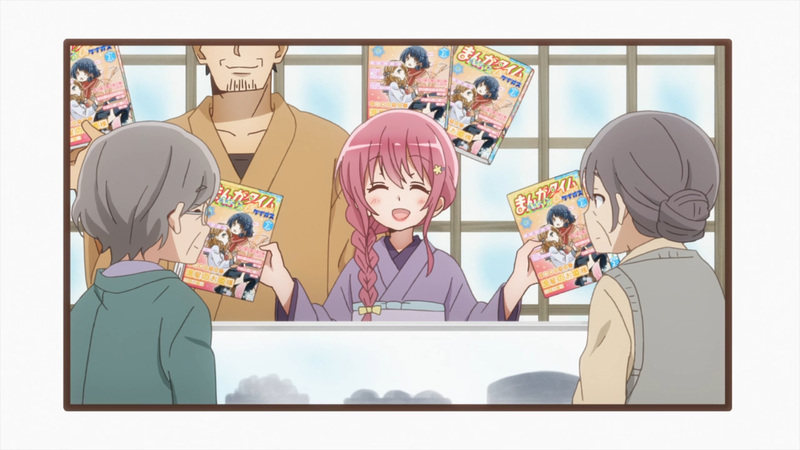 Part one received positive feedback from around the office and by readers. 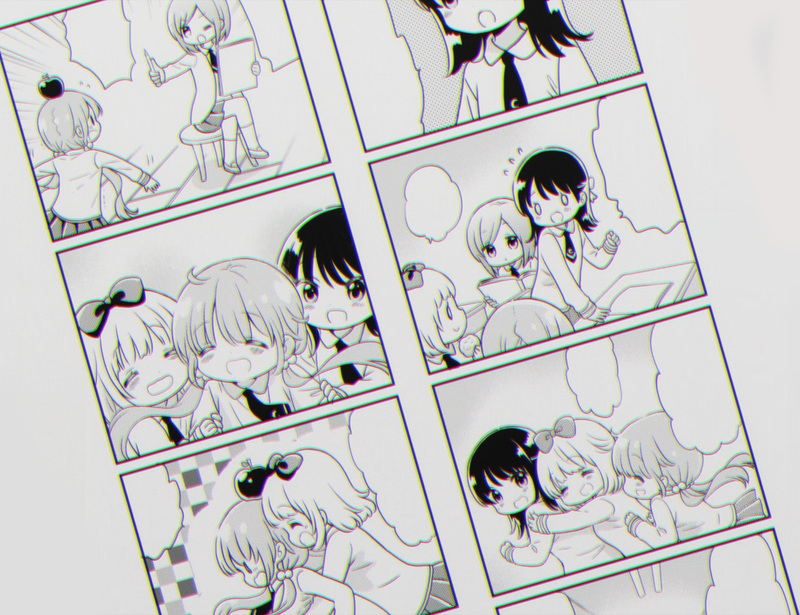 However, she was only able to pull this off due to help from her friends. 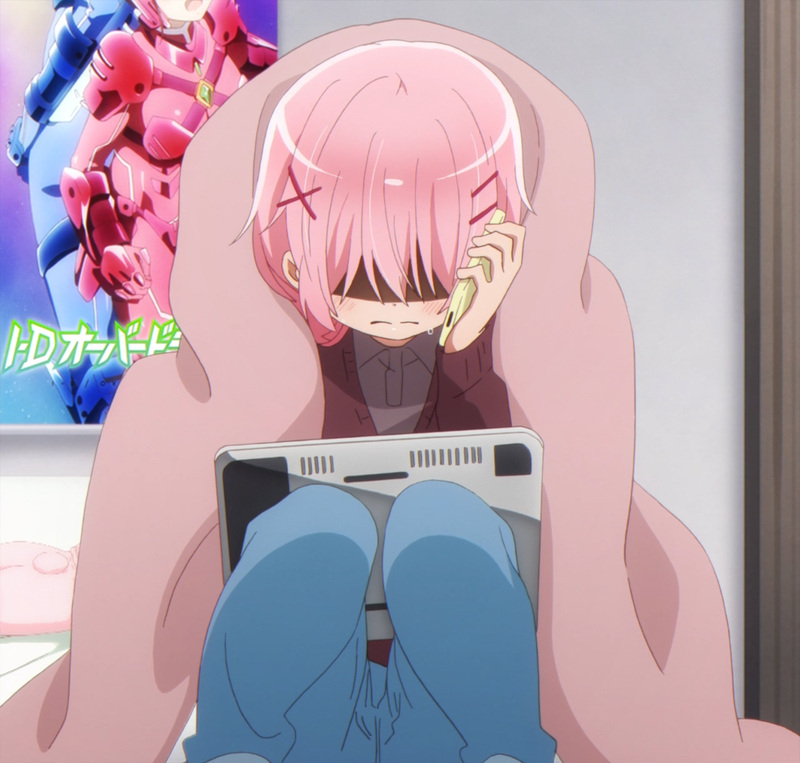 Unfortunately she won’t be getting any help with the second half. 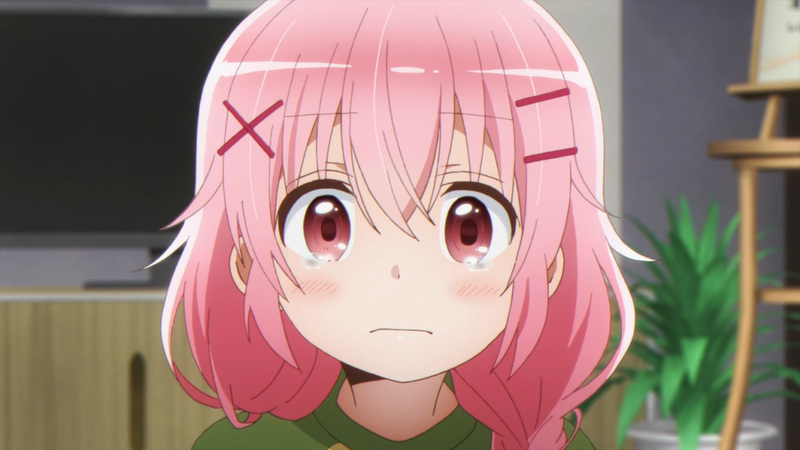 The closing of the dorm is near, and everyone but Kaos is leaving early. 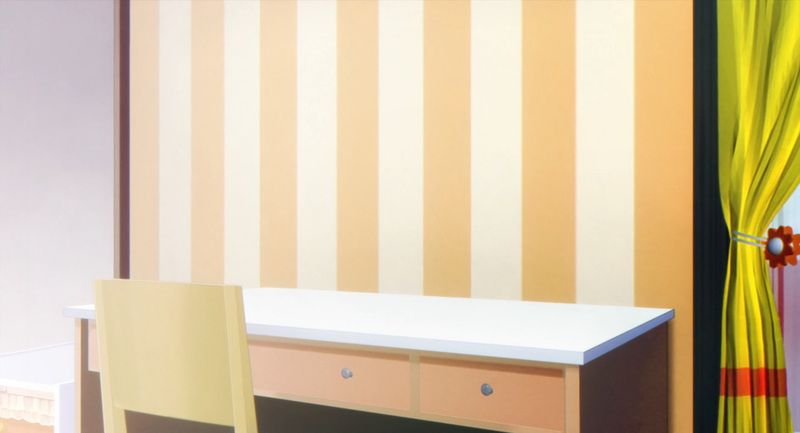 So, just how will she handle going solo? 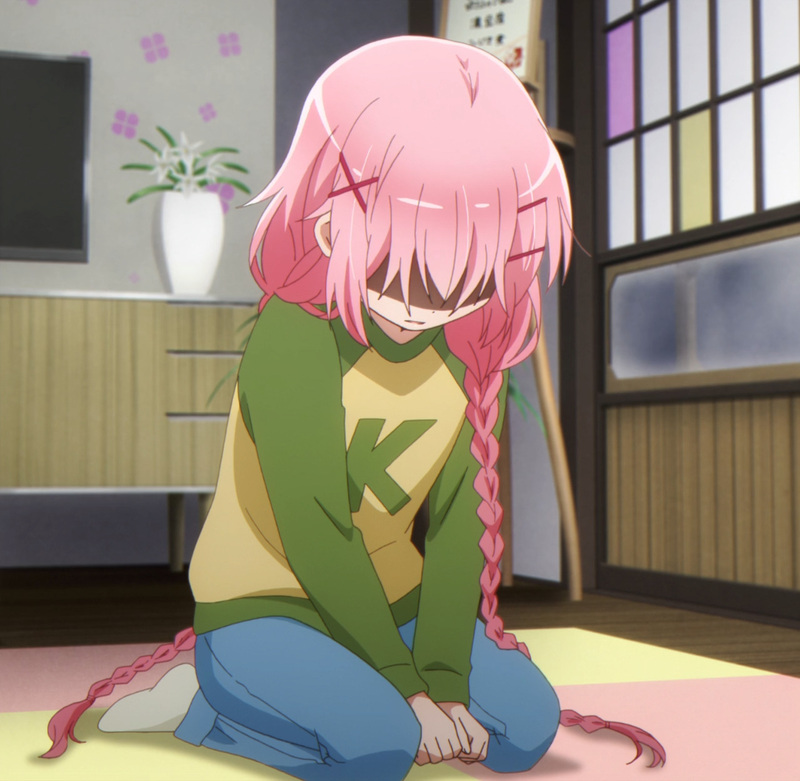 The lone Kaos-sensei nearly crumbled. 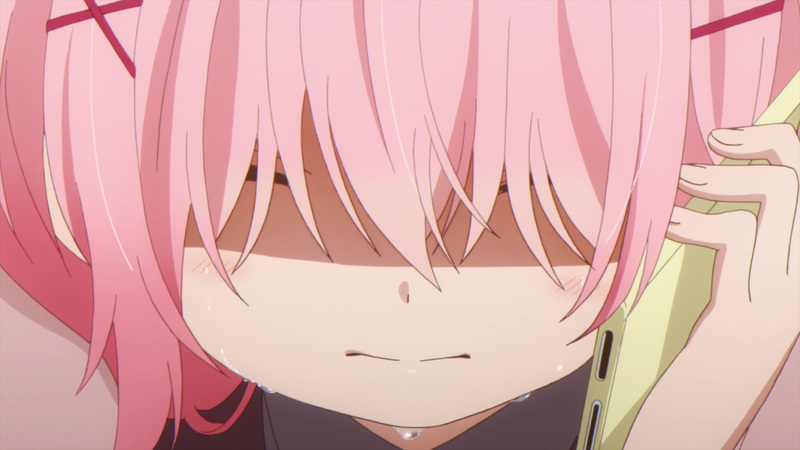 Being alone at the dorm brought her to tears. 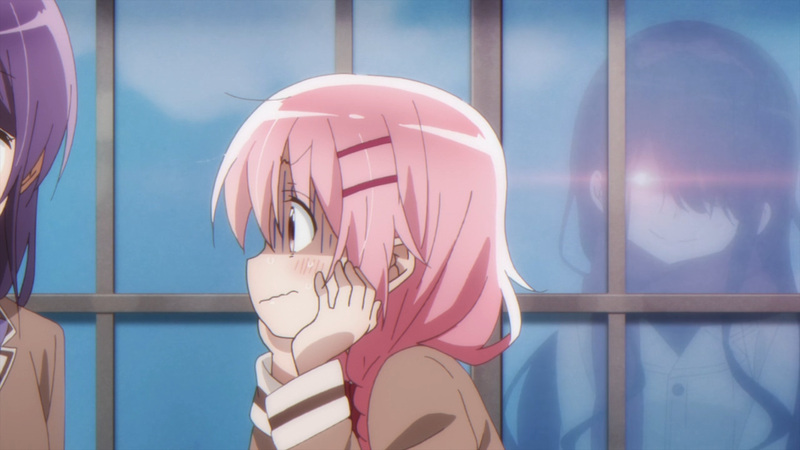 Loneliness is terrible feeling, but for Kaos this goes double. 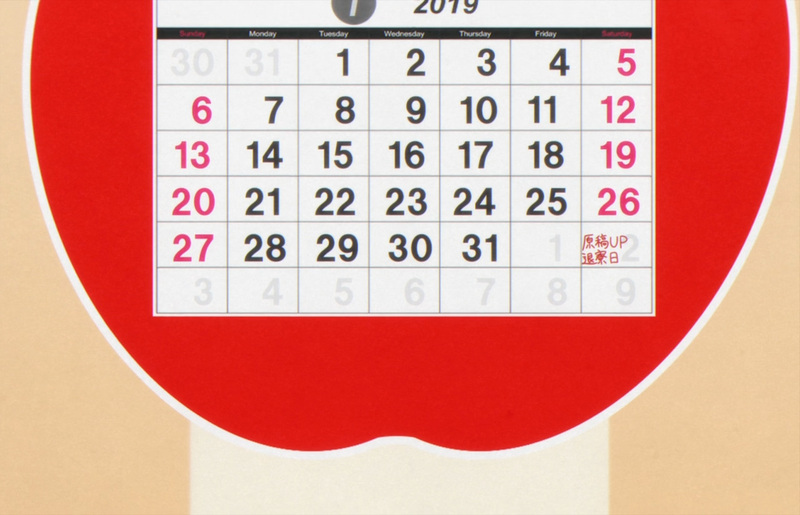 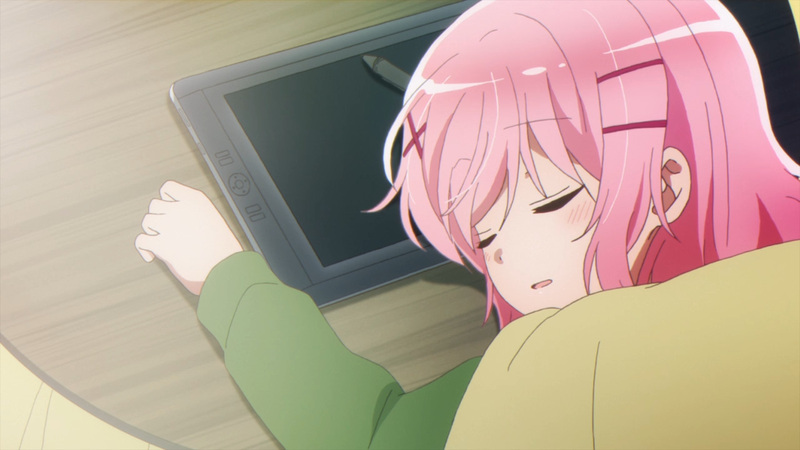 Still, she has a deadline to make. 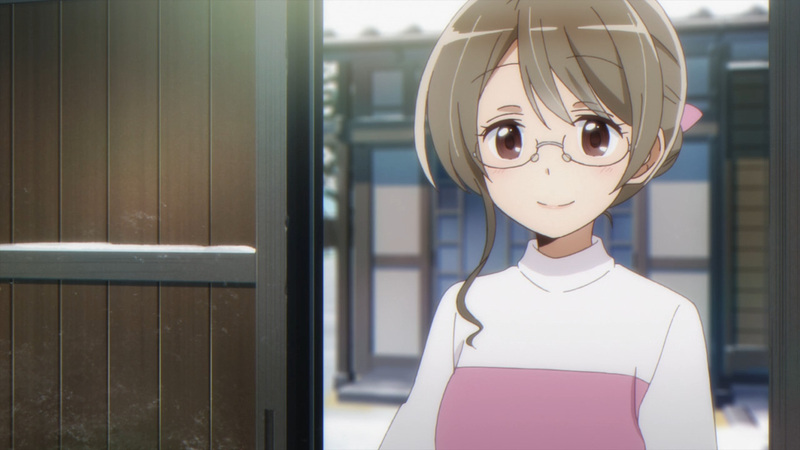 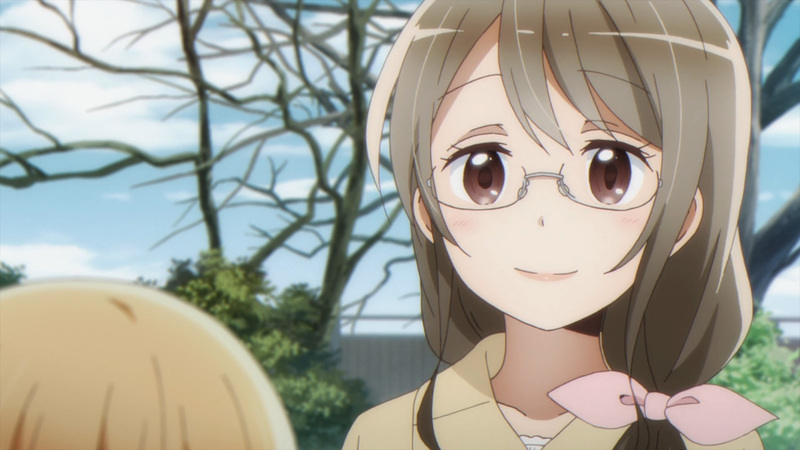 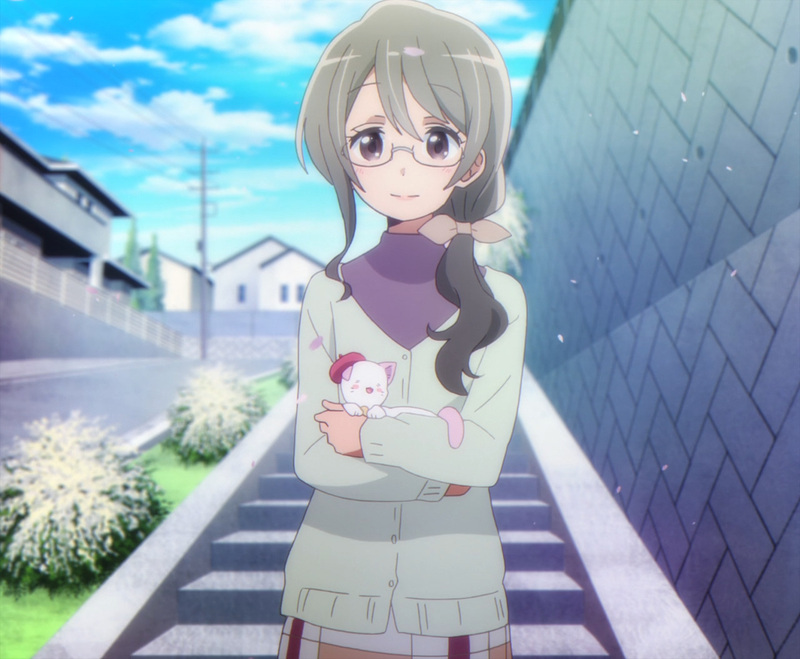 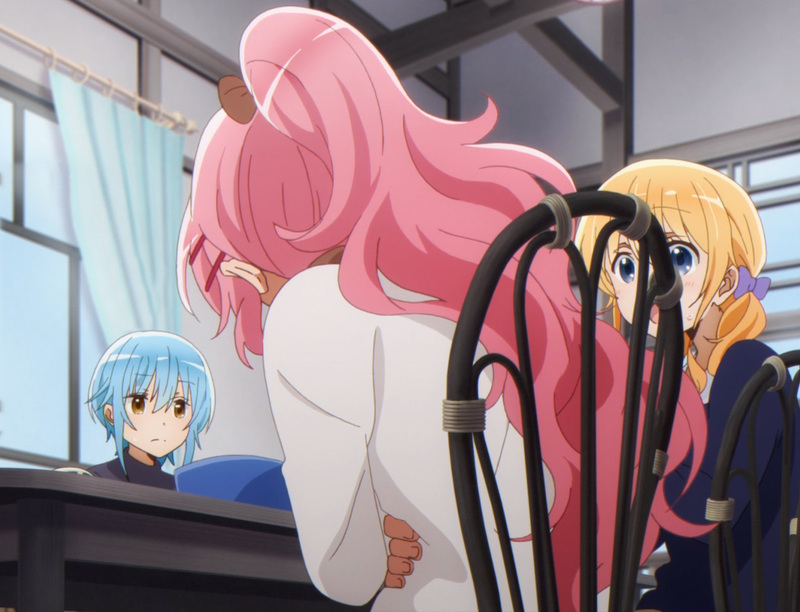 A surprise visit is what Kaoruko needed. 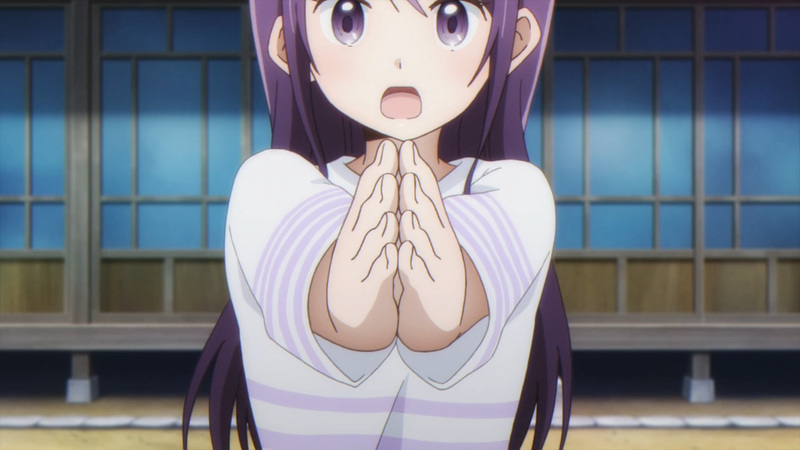 Although it won’t be from her friends. 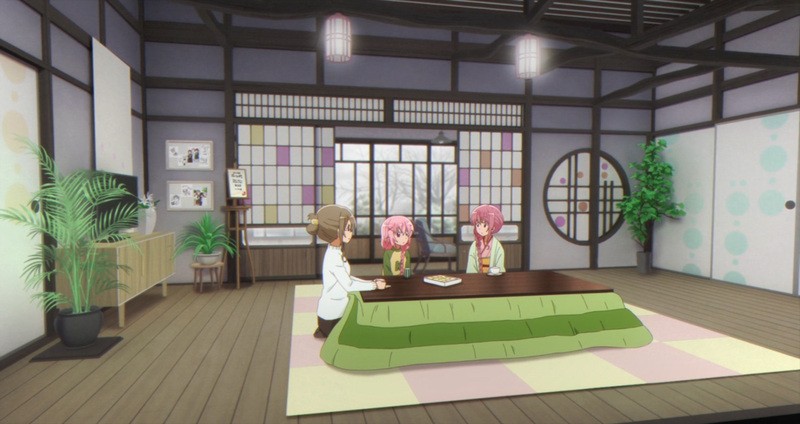 Kaoruko’s mother has come to remind her of the one thing she excels at. 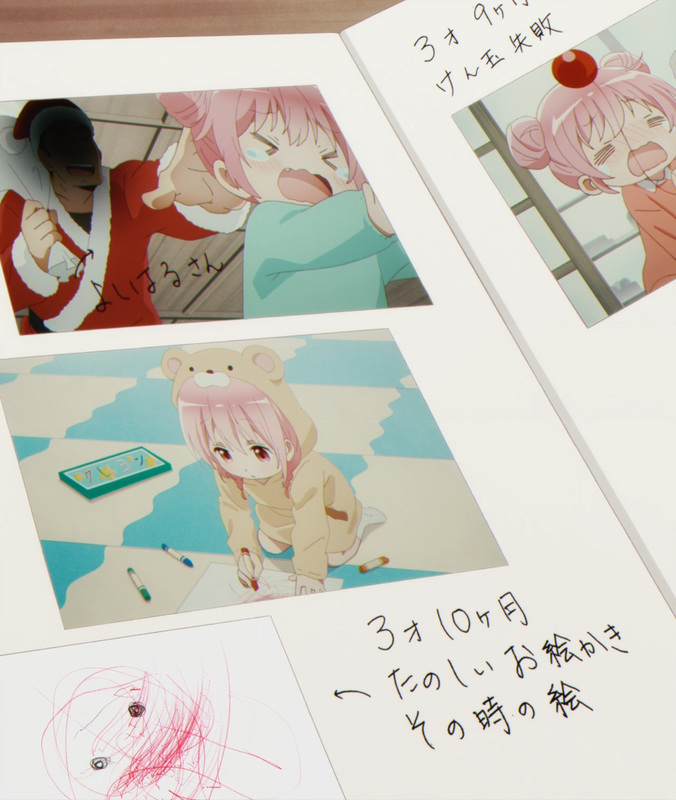 Kaos-sensei may stumble in all other walks of life, yet since she was a baby drawing brought a smile to her face. 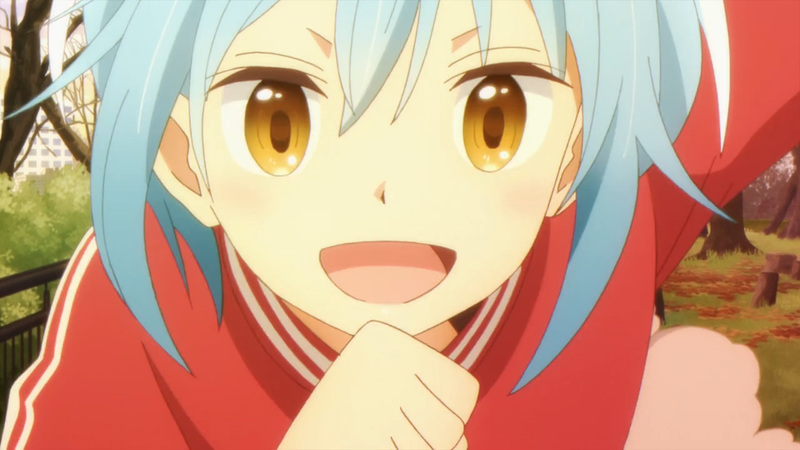 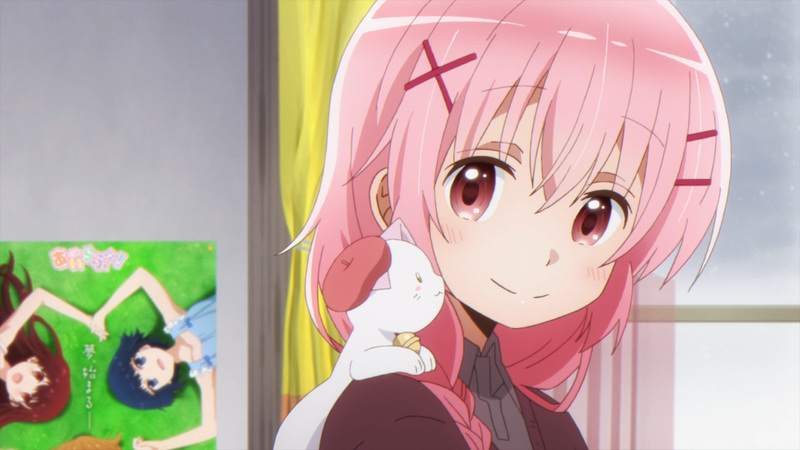 Now that she has been reminded, Kaos-sensei is reinvigorated. 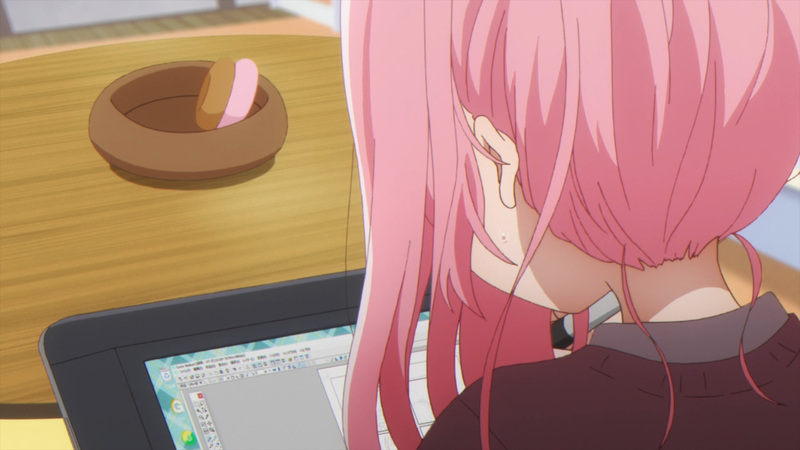 She’ll fight through the tears until her work is completed. 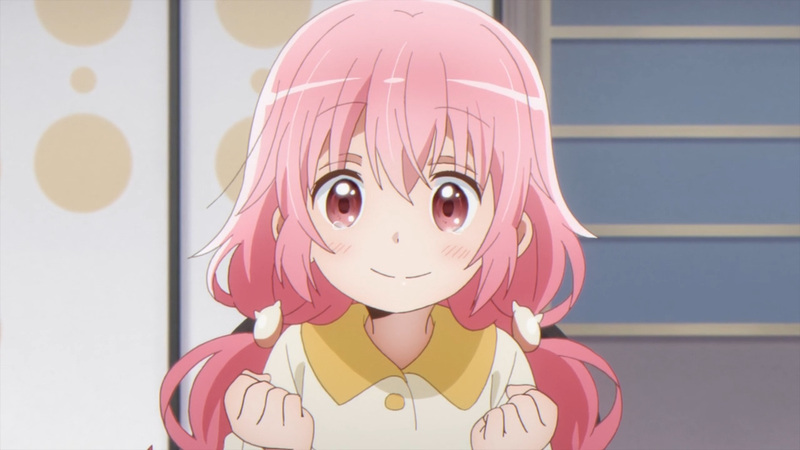 Dorm’s closed! 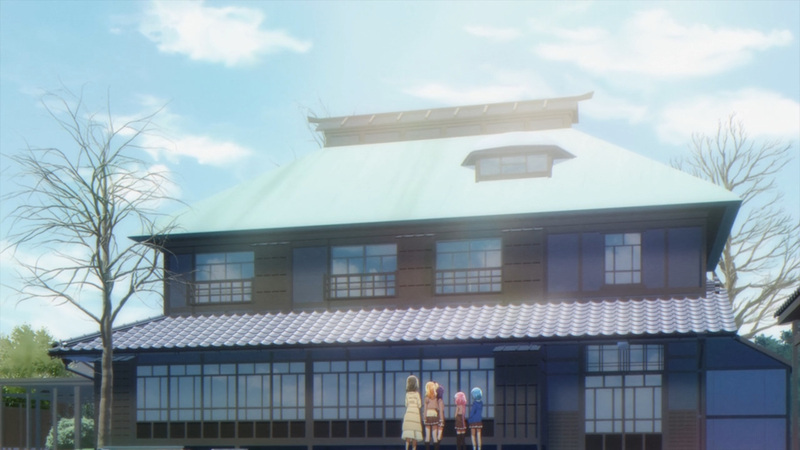 Wait, they were just getting a new dorm. 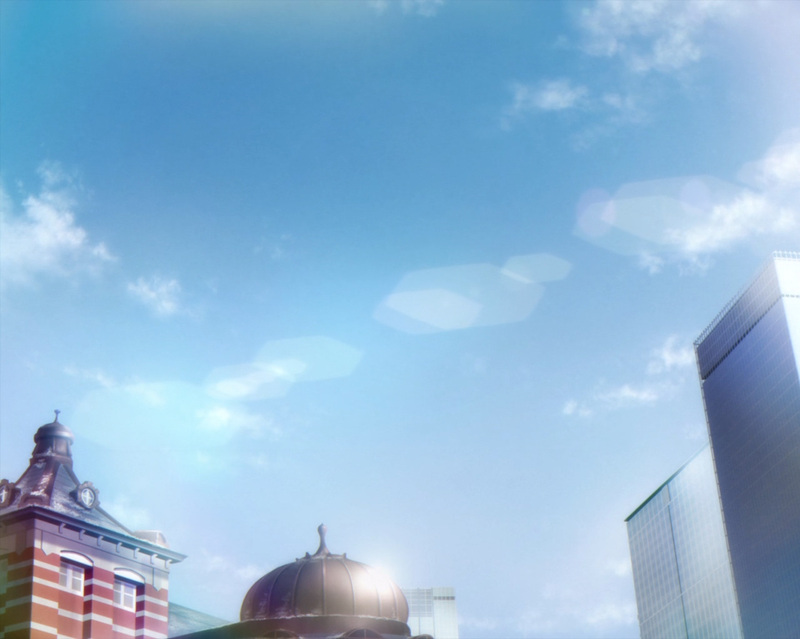 The way things were going I could of sworn they sold the land. 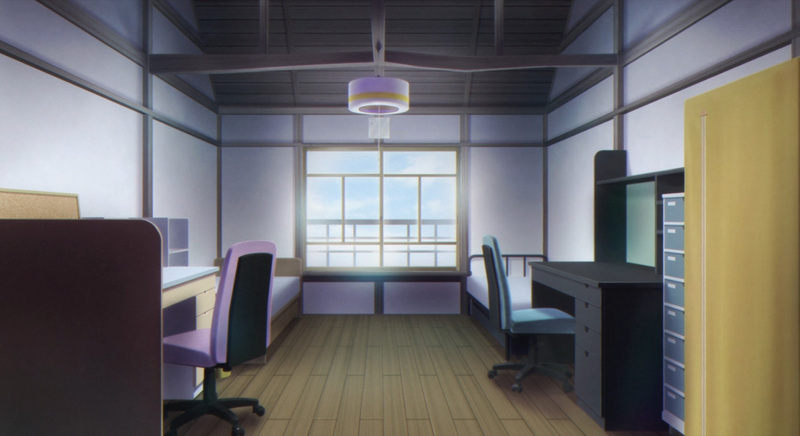 In the end they just got a new updated dorm. 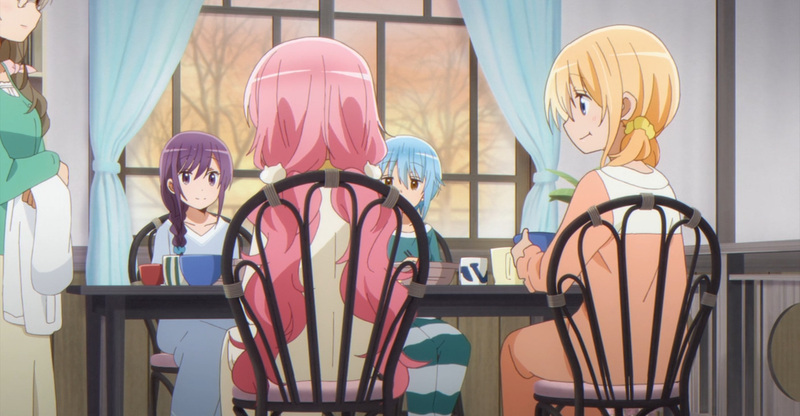 Everyone came back together, too. 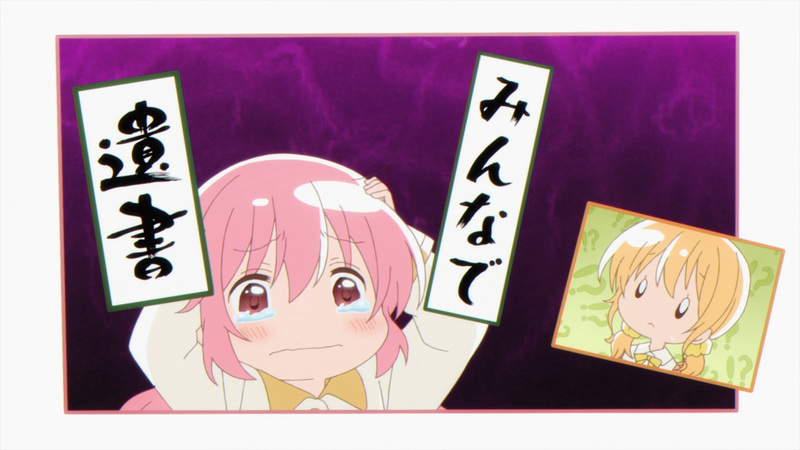 Moreover, sadly Kaos-sensei didn’t get serialized. 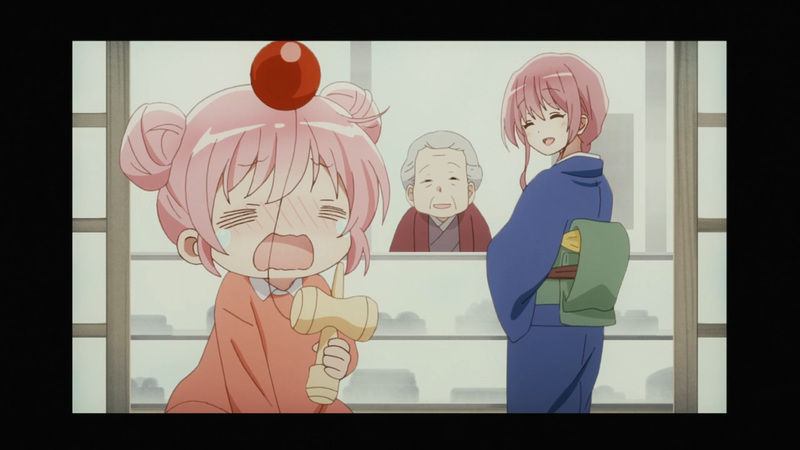 The second half of the guest appearance went well, but we’re to assume things fell through after that. 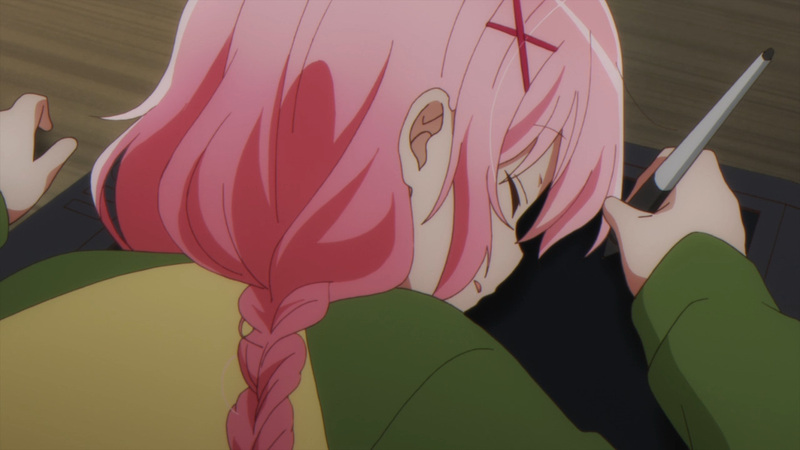 No matter, she’s back at the dorm now. 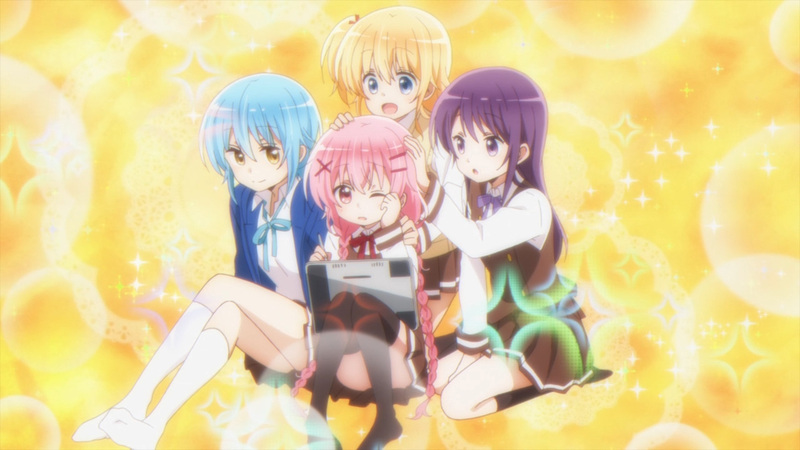 Surrounded by friends, Kaos-sensei is sure get back into the game. 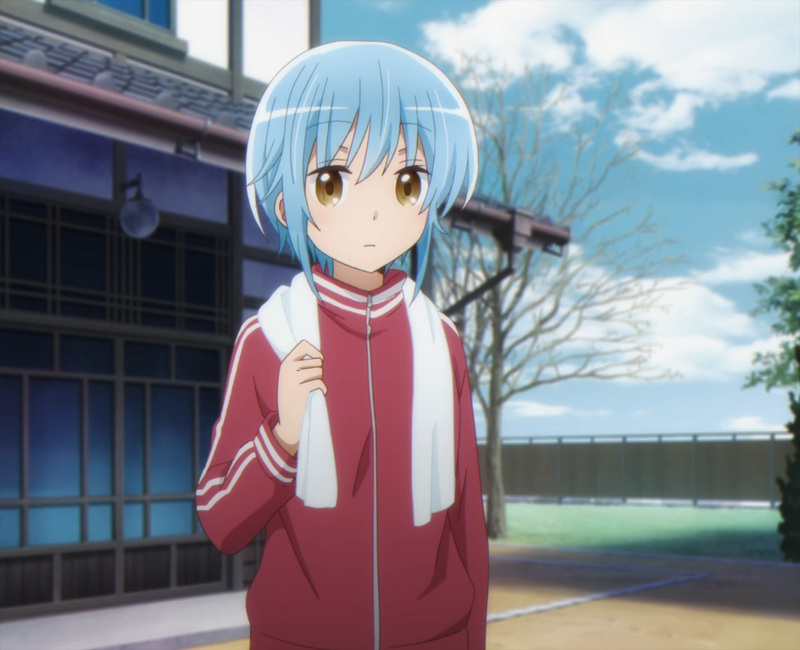 She’s got a heart that won’t give up until her dream comes true. 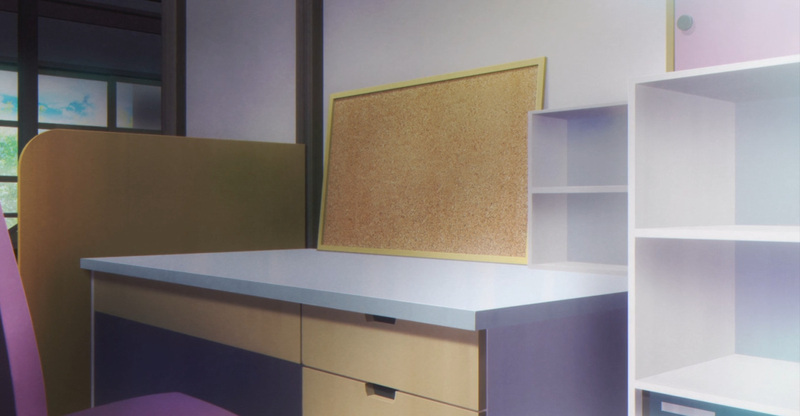 Now for the most important part, well at least for this site. 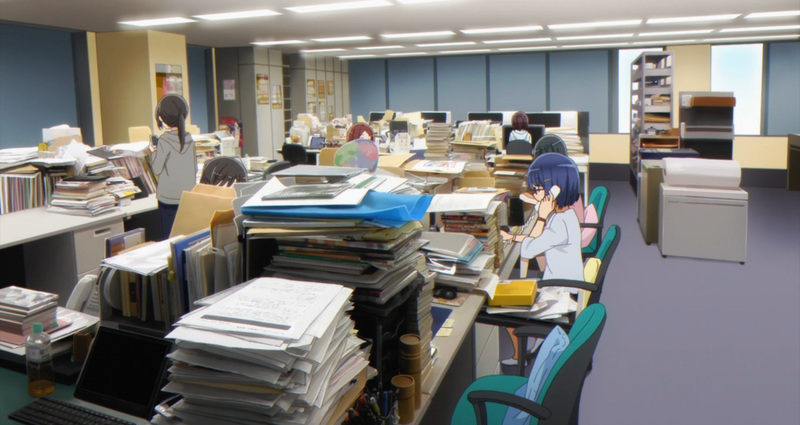 How did the media stand up from start to finish? 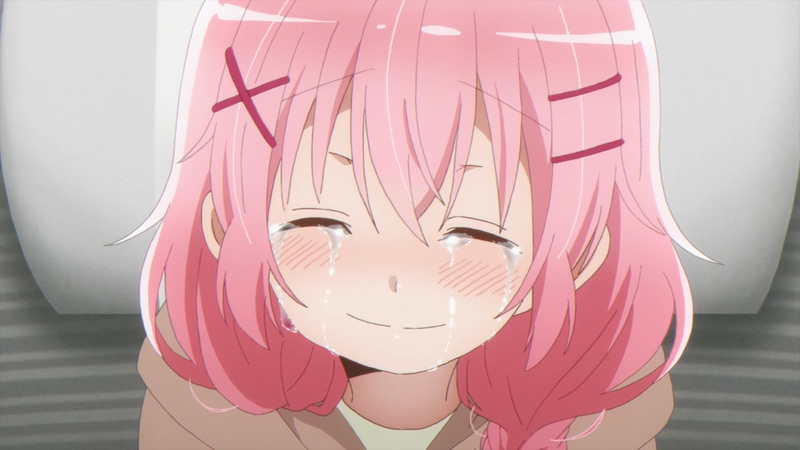 Overall Nexus did a fantastic job. 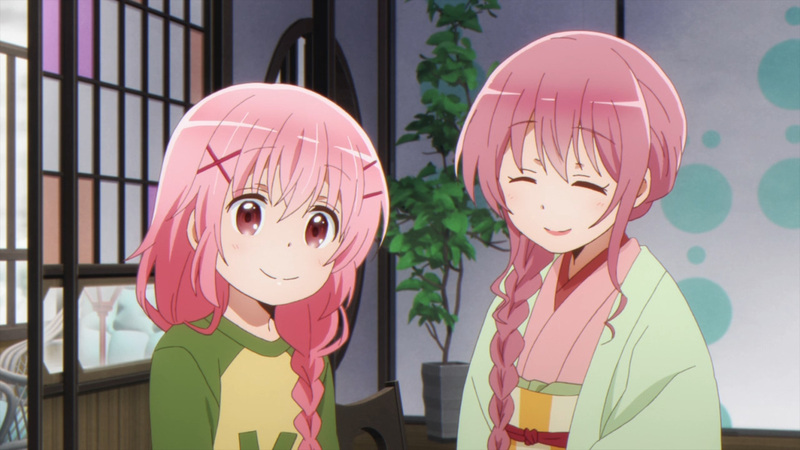 The characters were on model about 90% of the time. 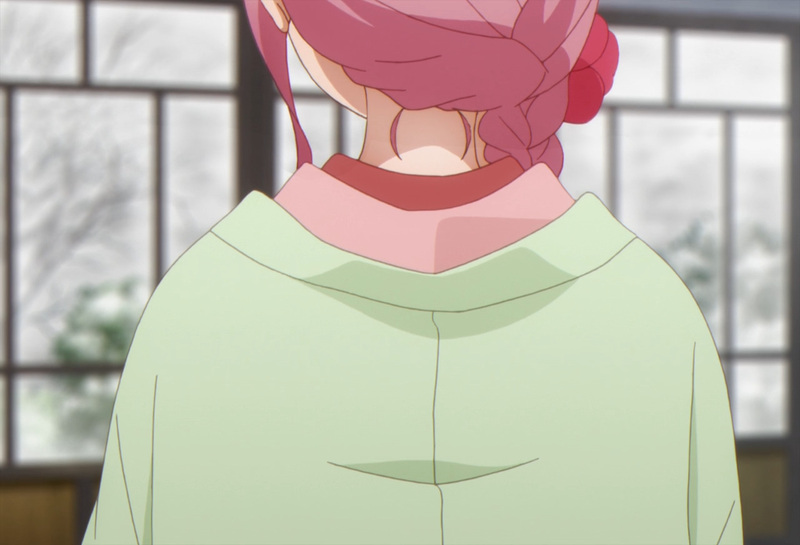 There was also no major notable dip in quality during the later half of the show. 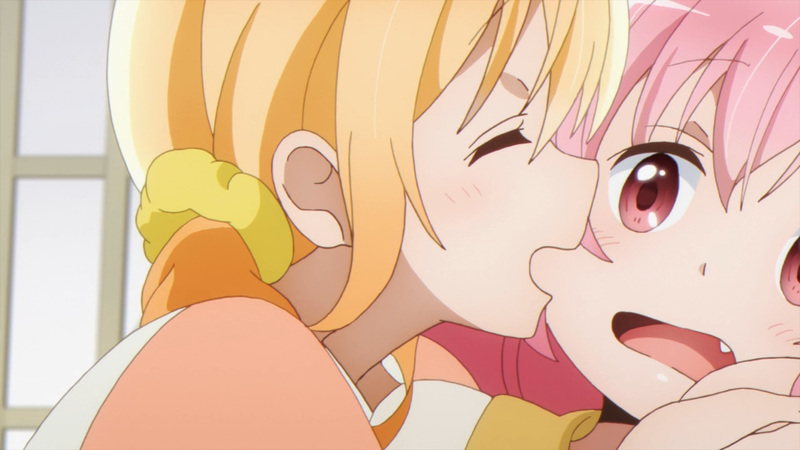 You’ll typically see that in most anime, but they kept it up here. 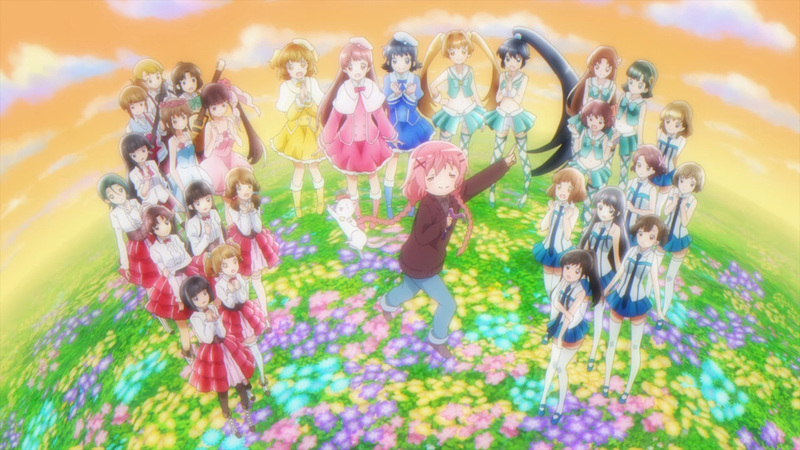 As for the animation, well this isn’t really a heavy movement based show. 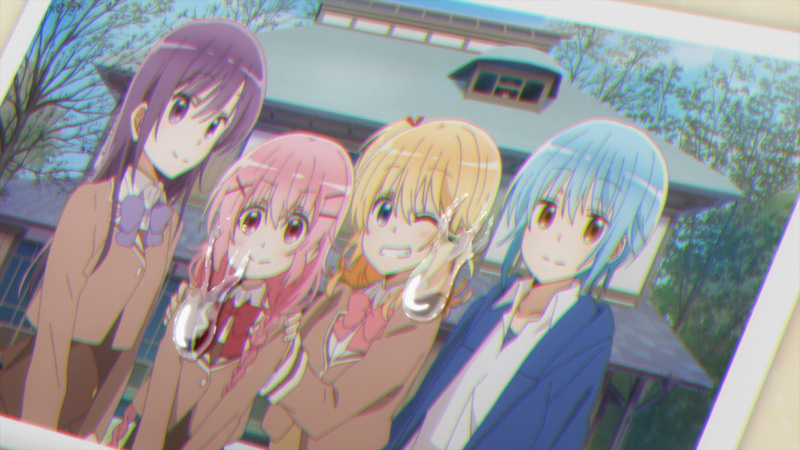 Still, when they had to animate the girls doing something crazy, or wacky it was spot on. 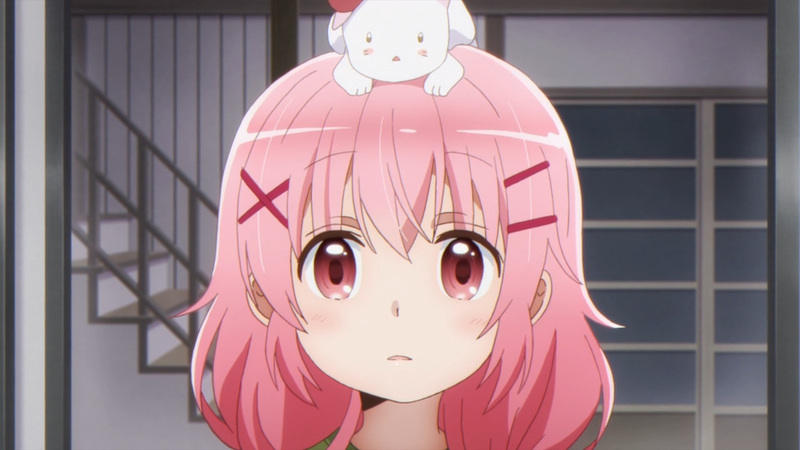 I’d like to bring up my favorite character as an example. 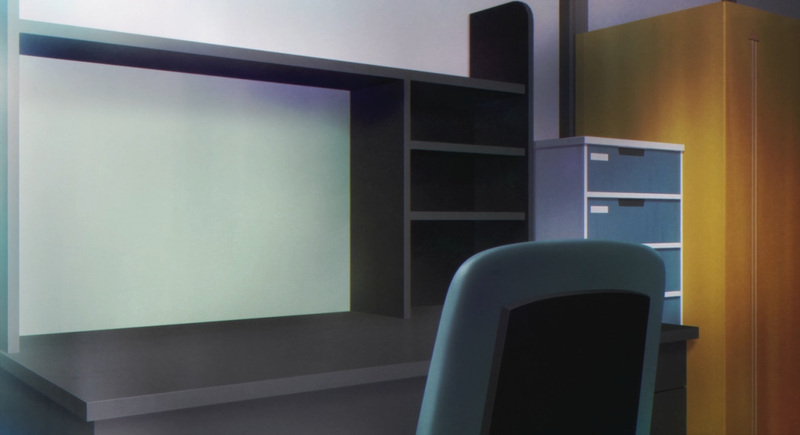 Almost every time Fuura showed up it deserved a WebM. 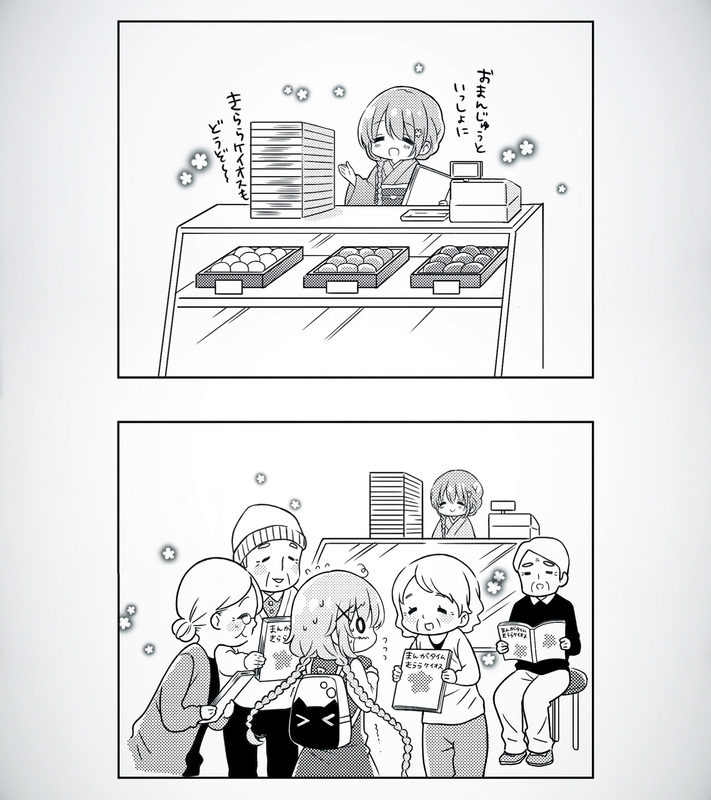 That girl really knows how to make others move, hehe. 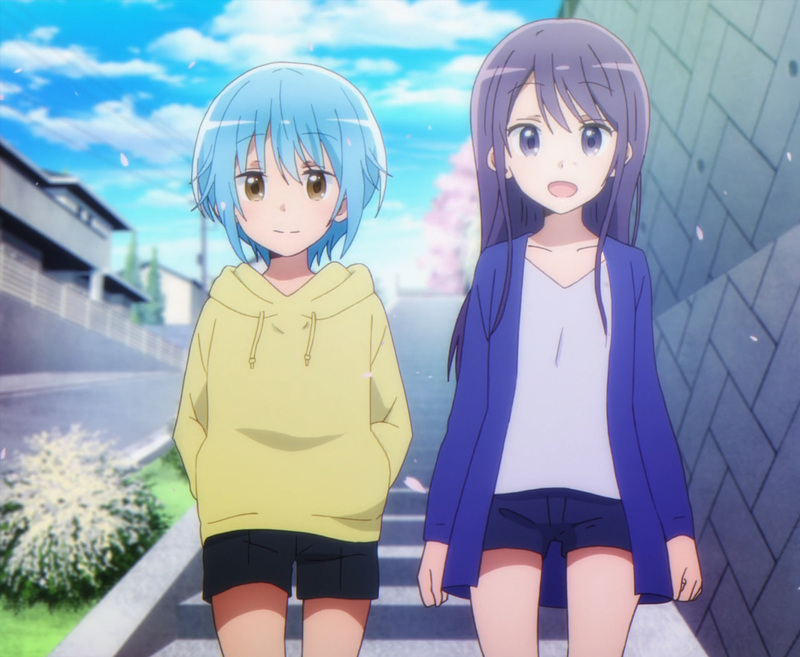 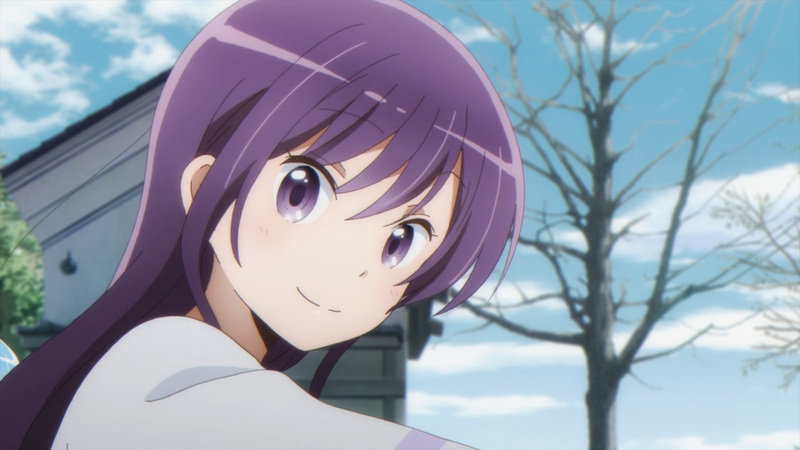 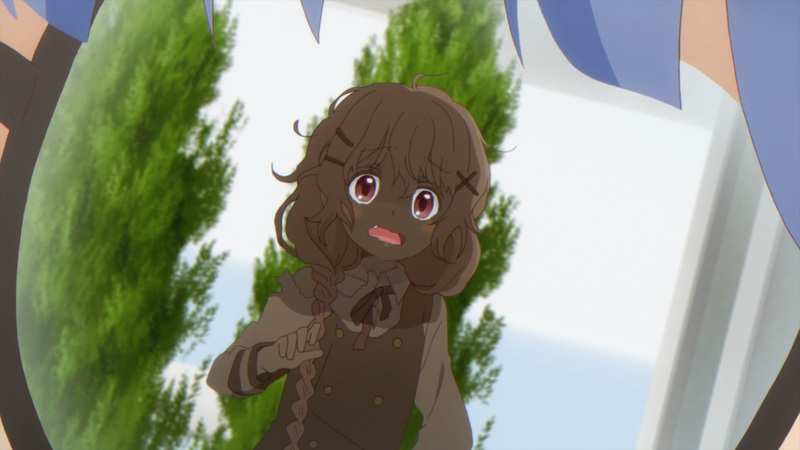 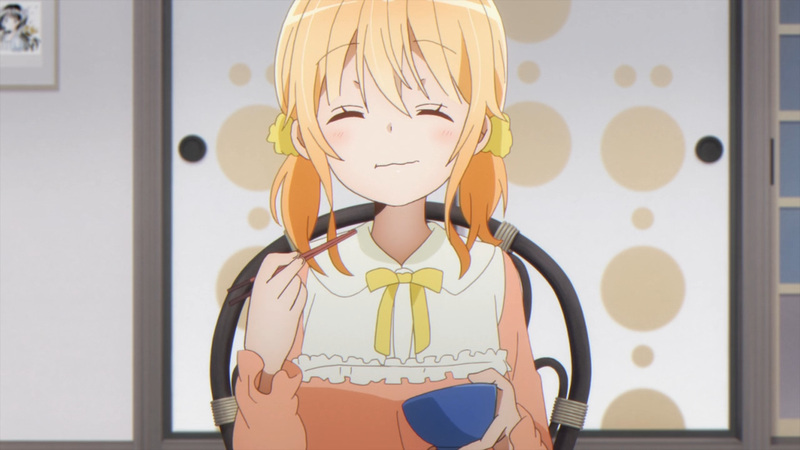 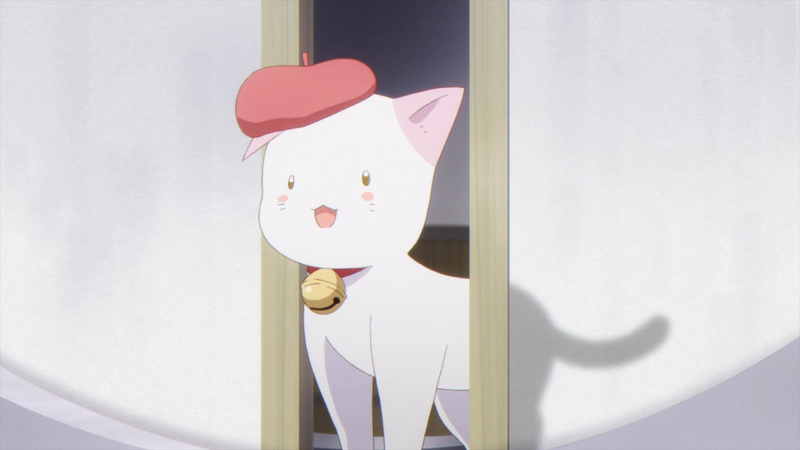 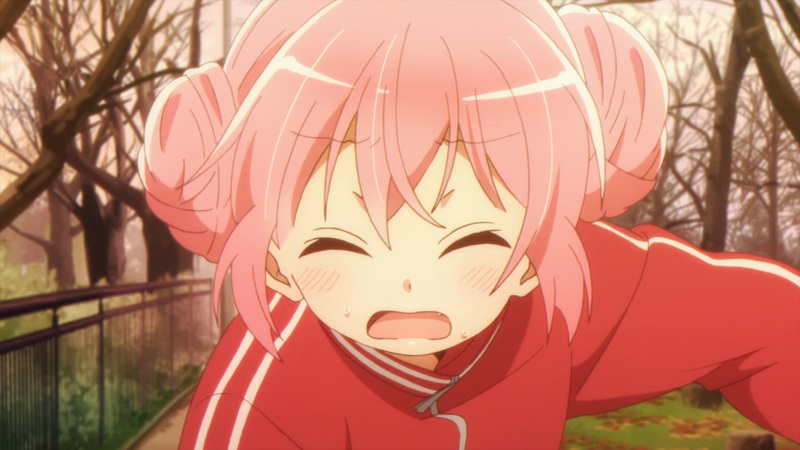 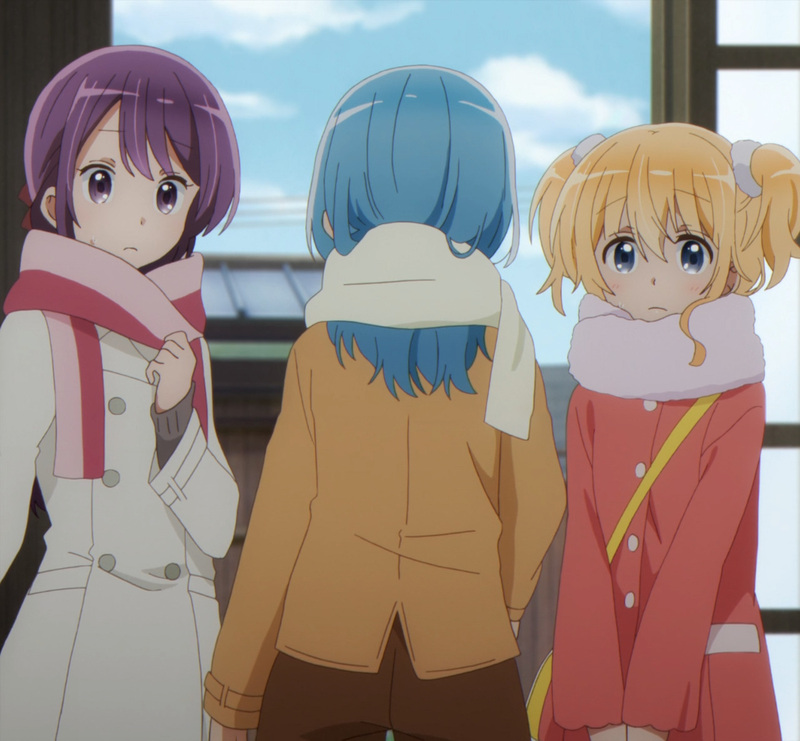 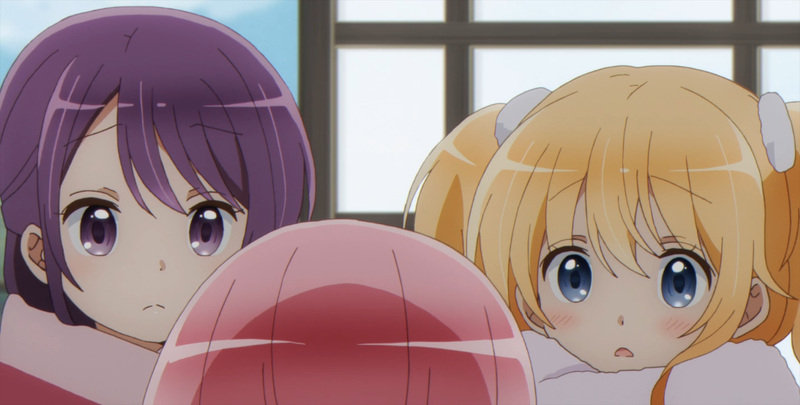 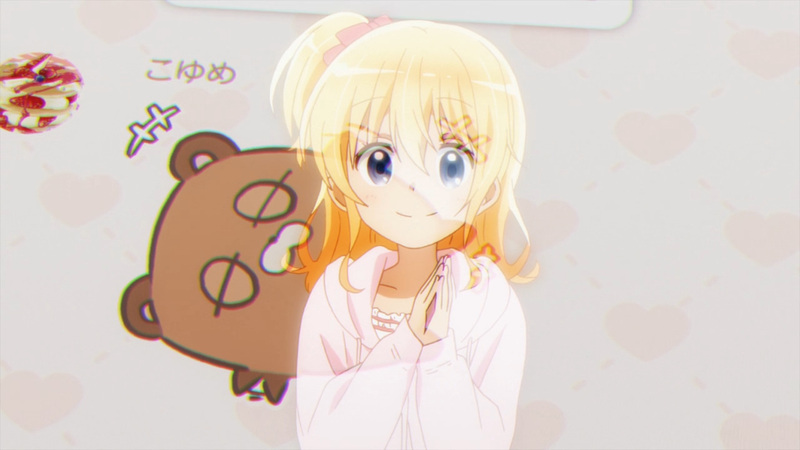 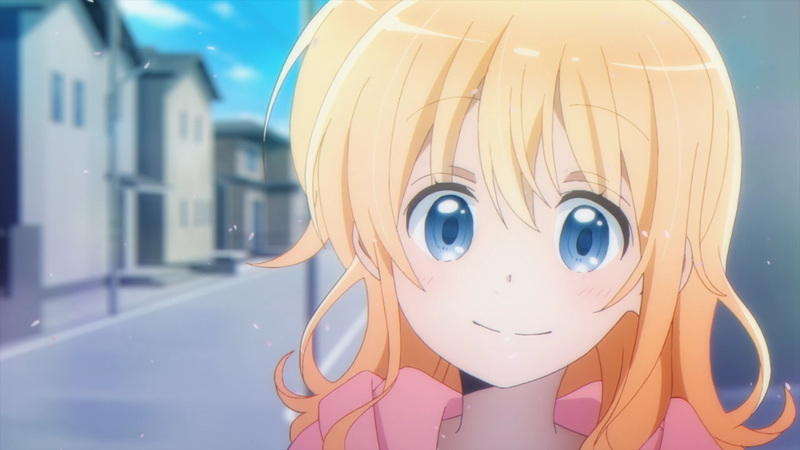 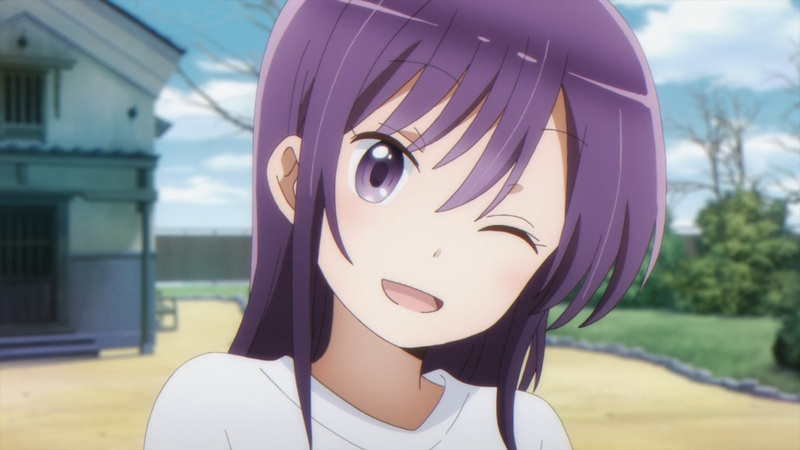 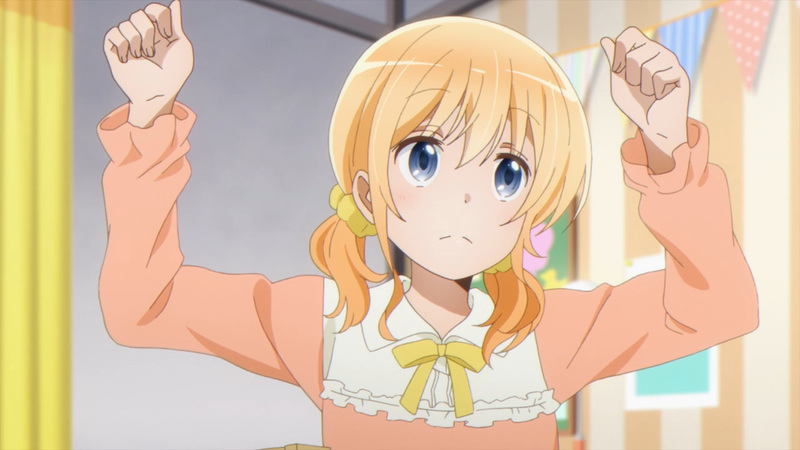 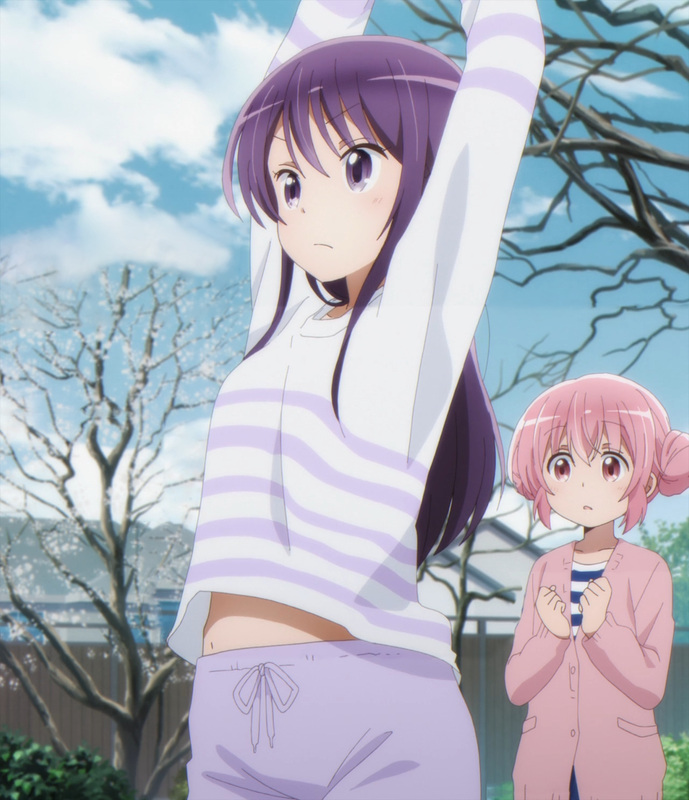 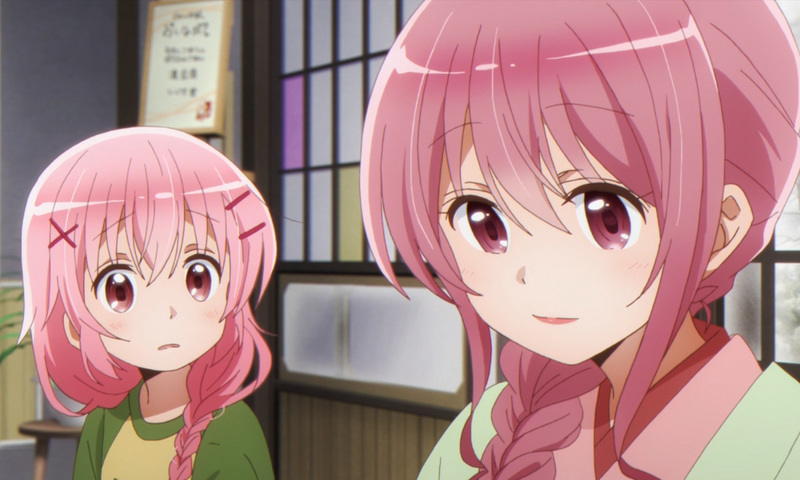 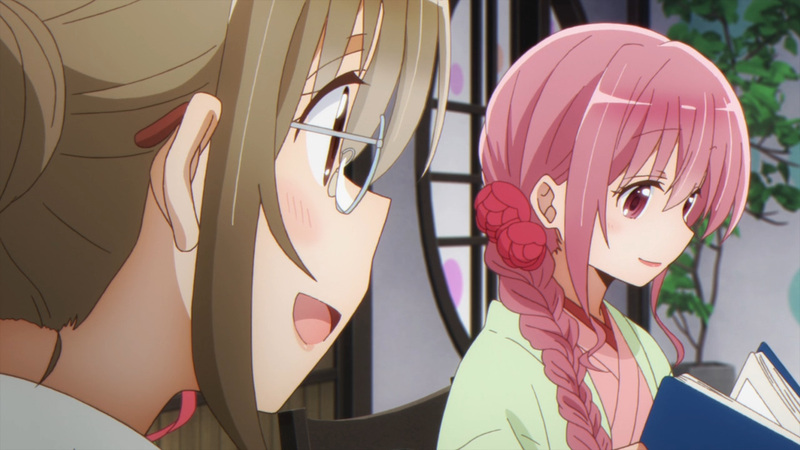 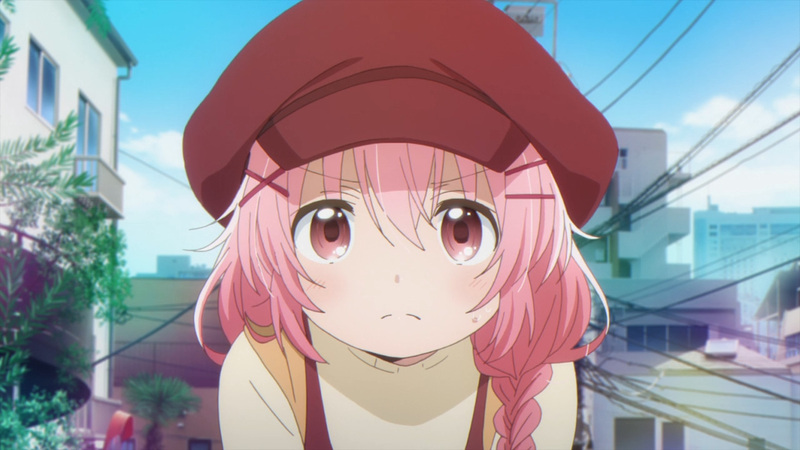 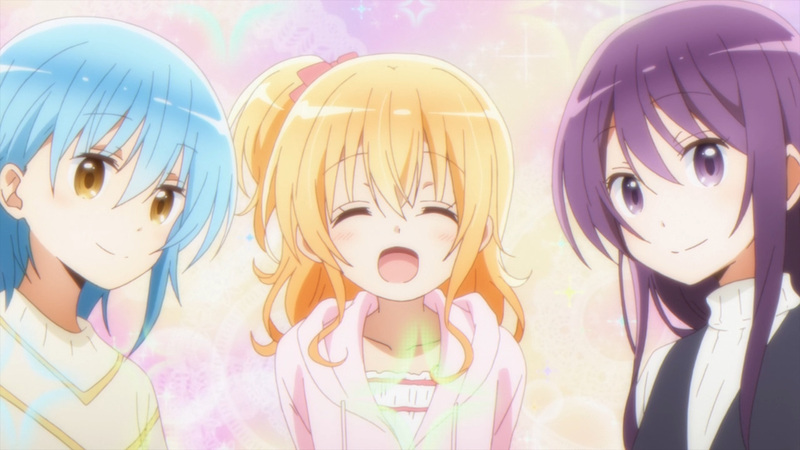 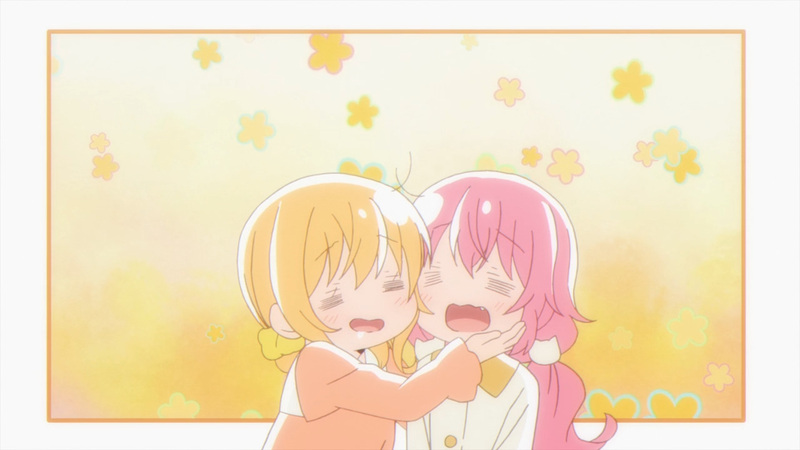 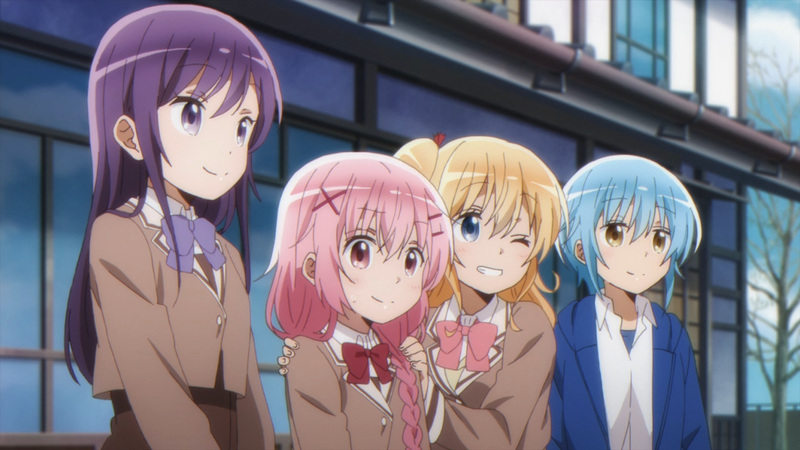 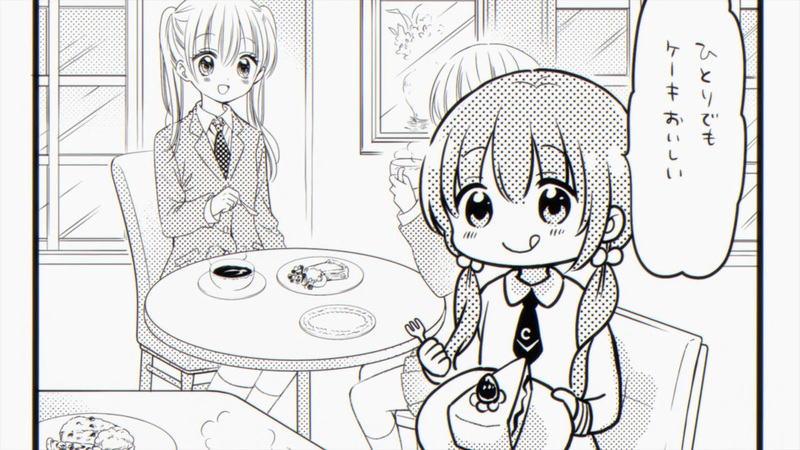 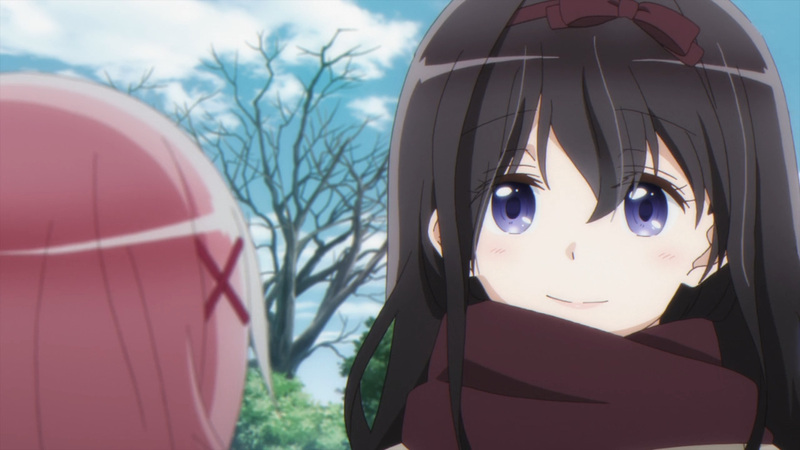 If you’ve been following these reviews from the beginning, then you know Comic Girls was a late pick up. 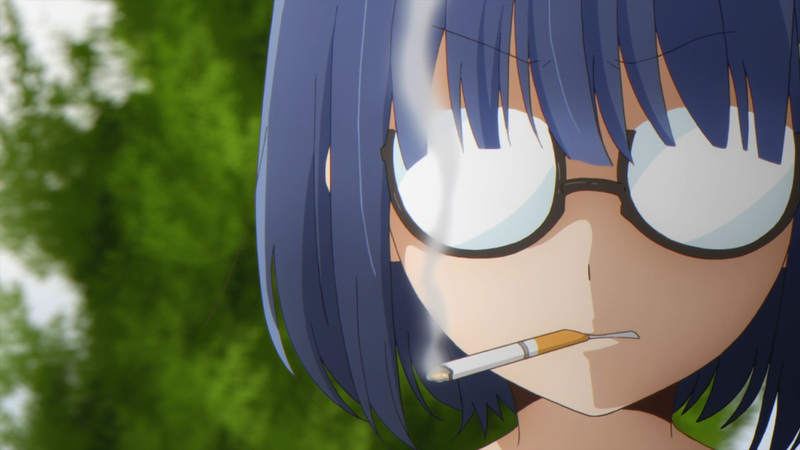 However, I never really got around to explaining that. 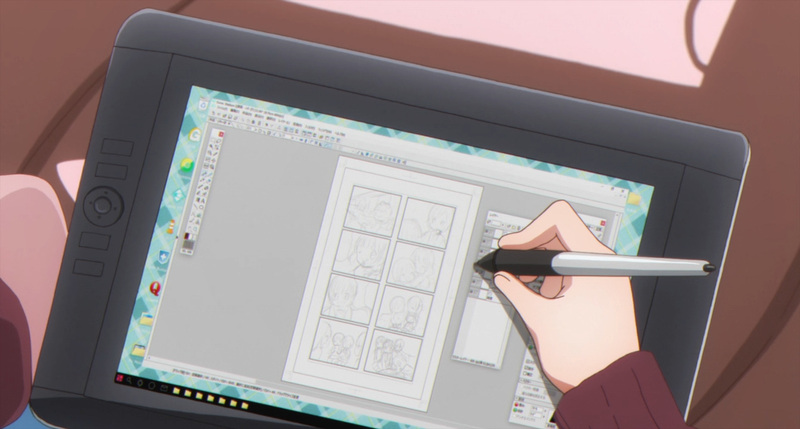 Originally I planned on covering Devils Line. 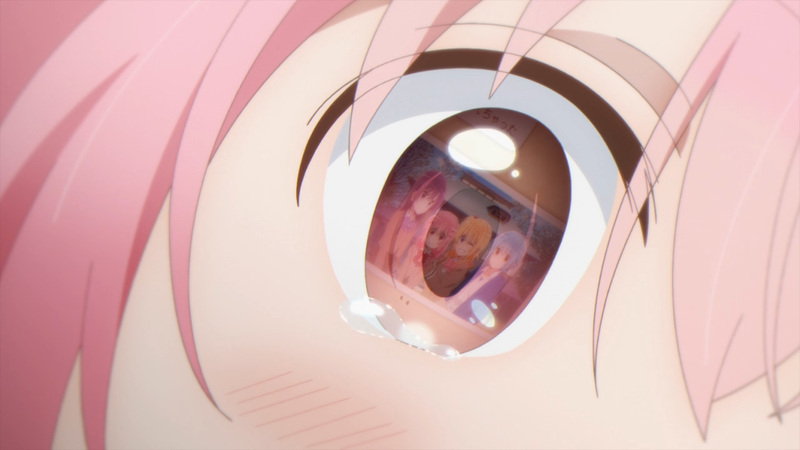 After watching the first episode of that show I didn’t even know how to react. 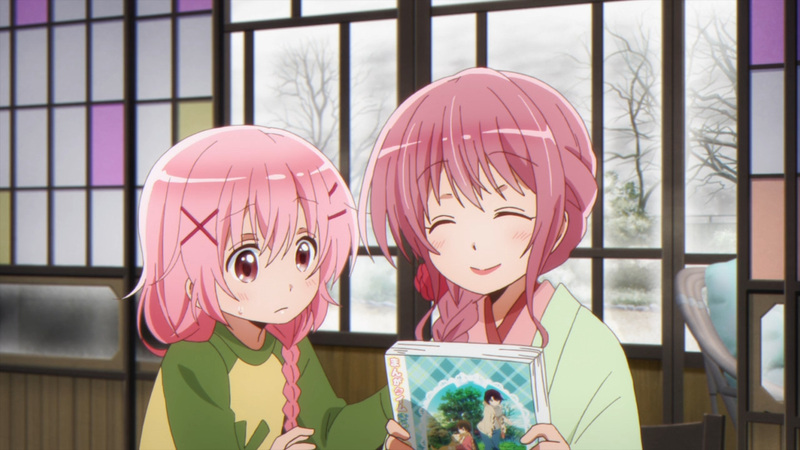 I watched it again, and even convinced a friend to watch it, too. 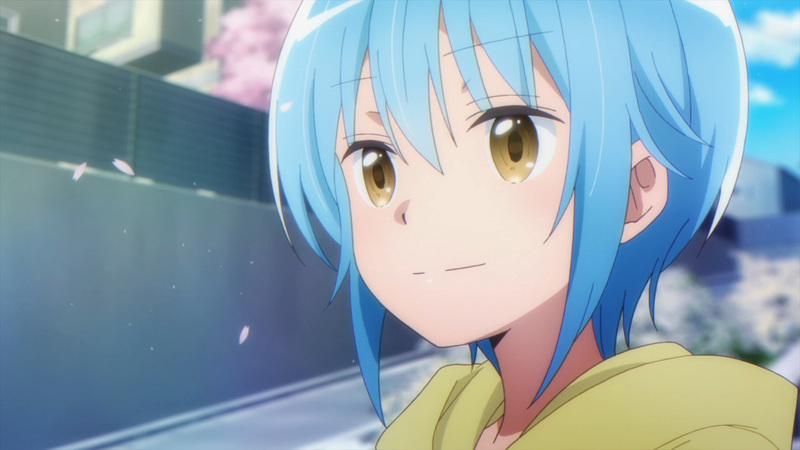 In the end it was decided that a new show must be picked. 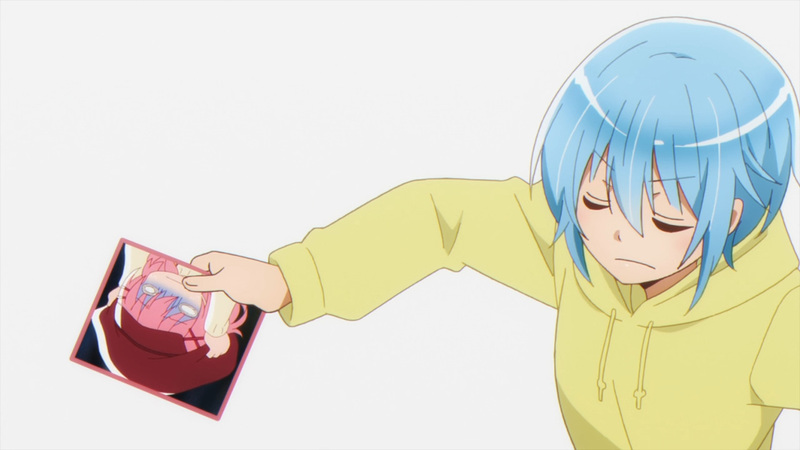 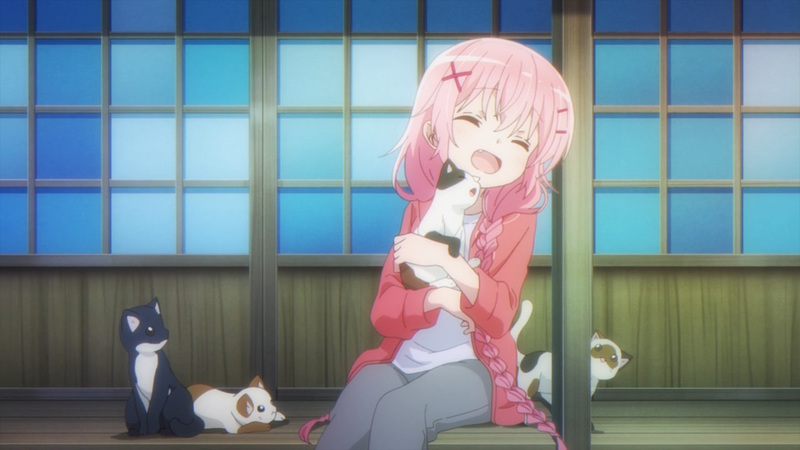 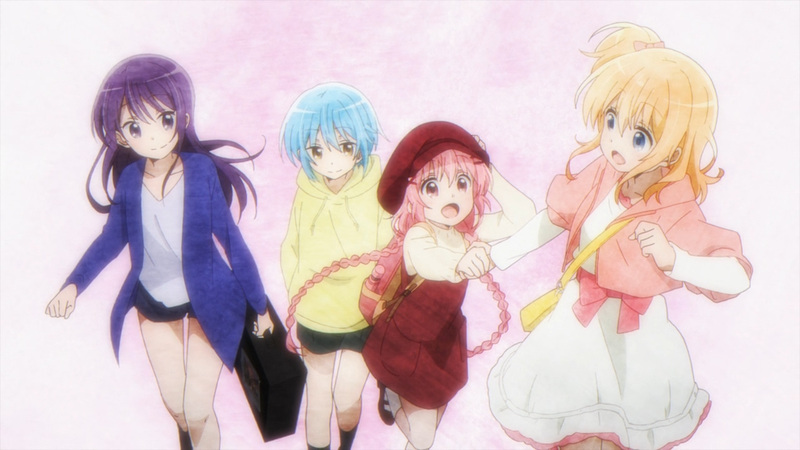 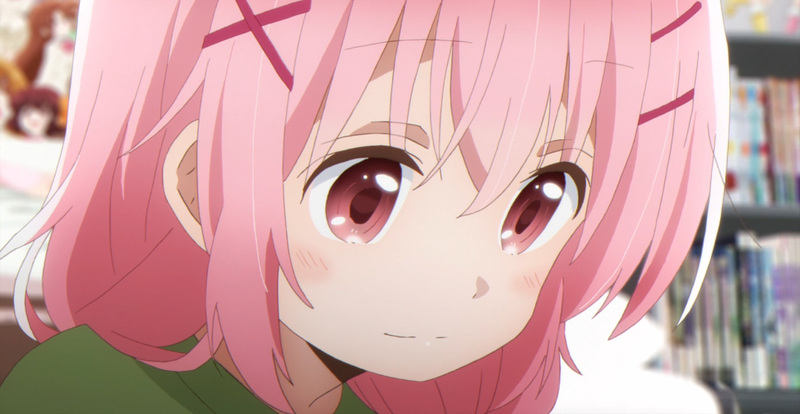 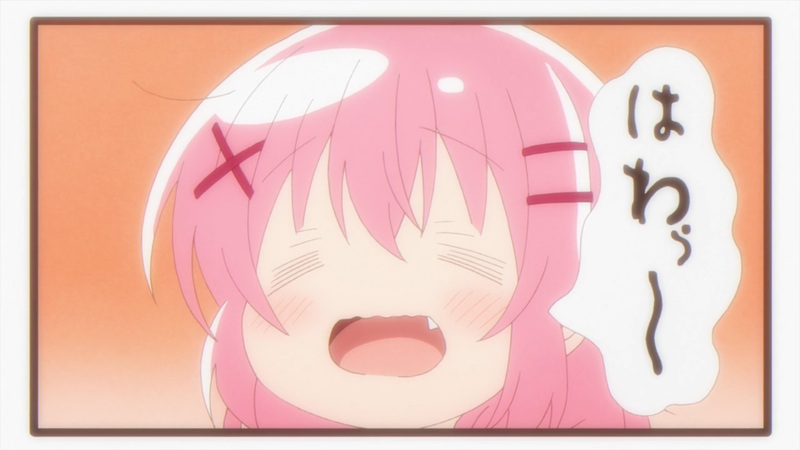 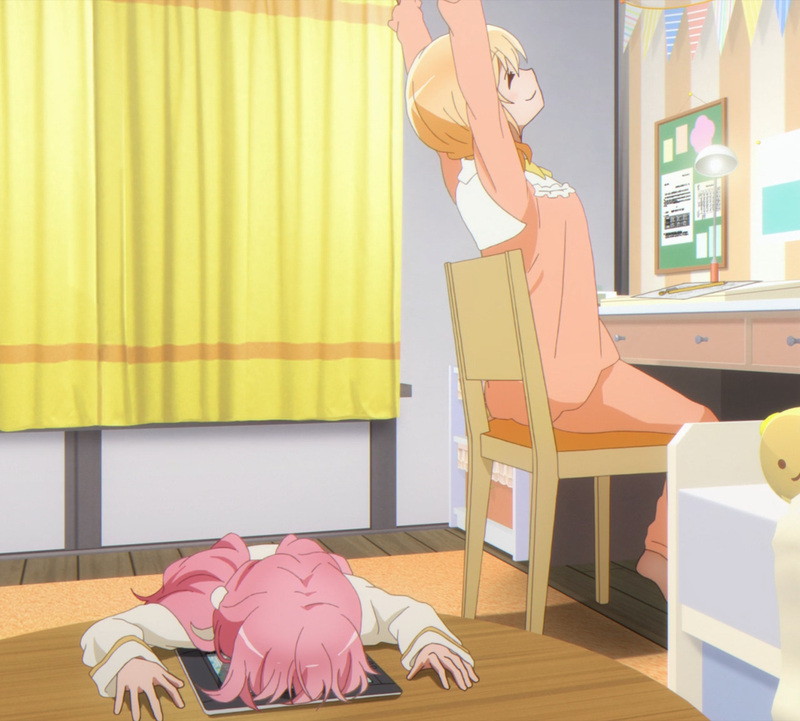 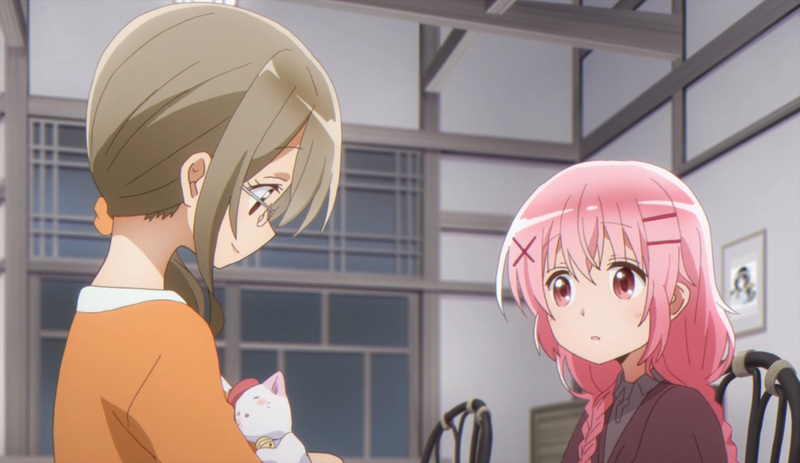 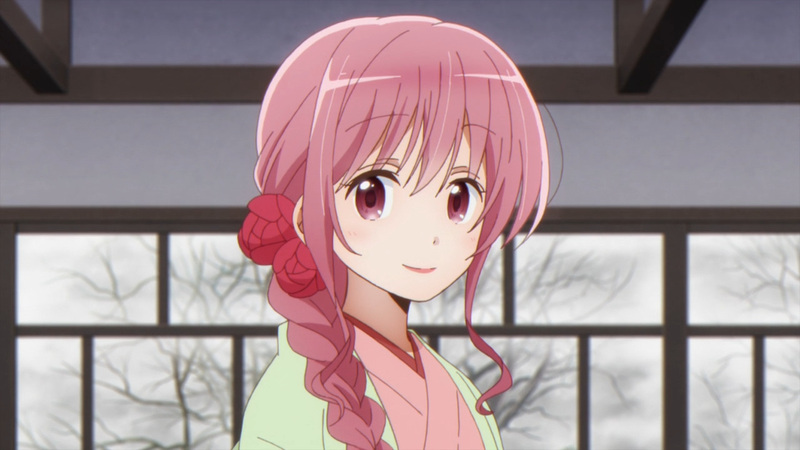 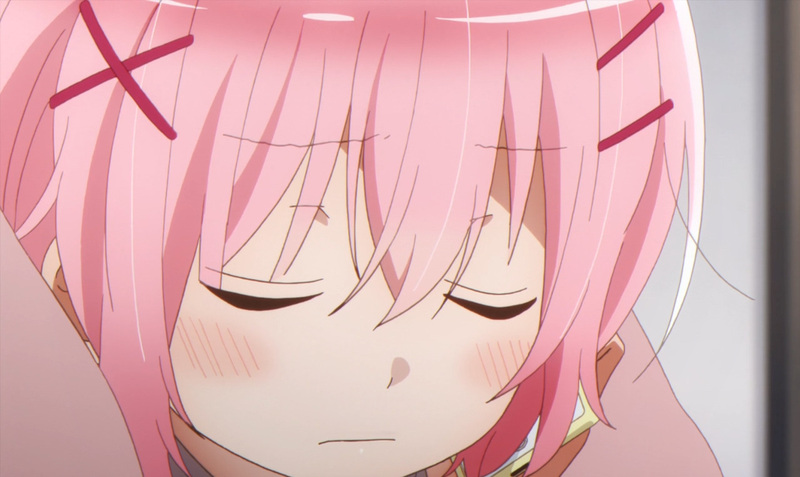 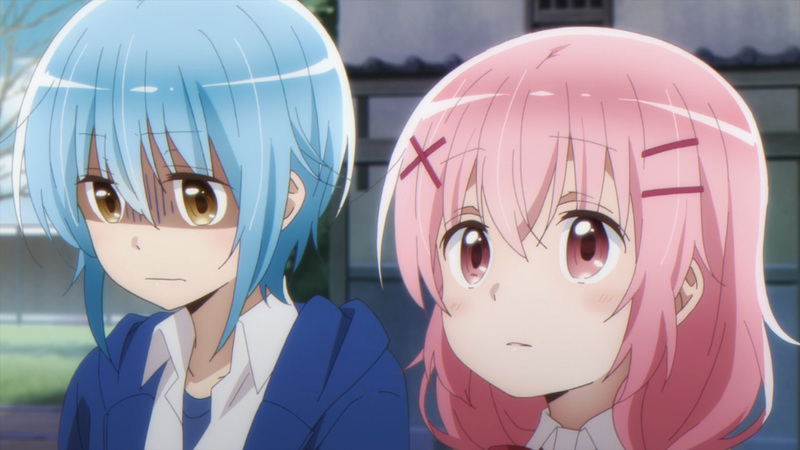 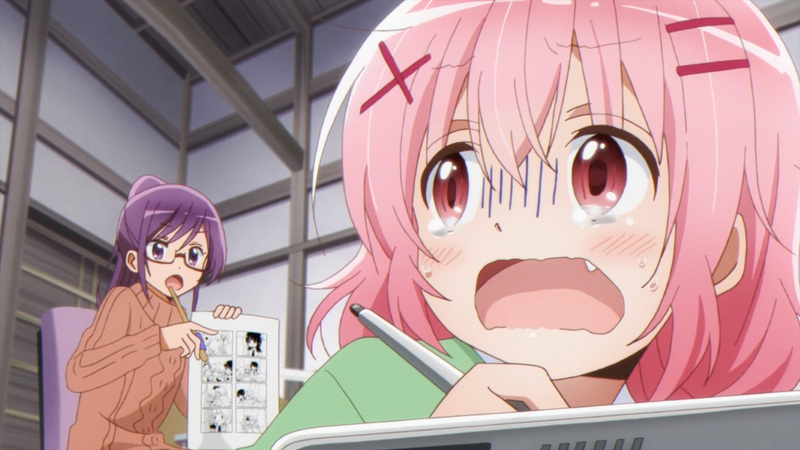 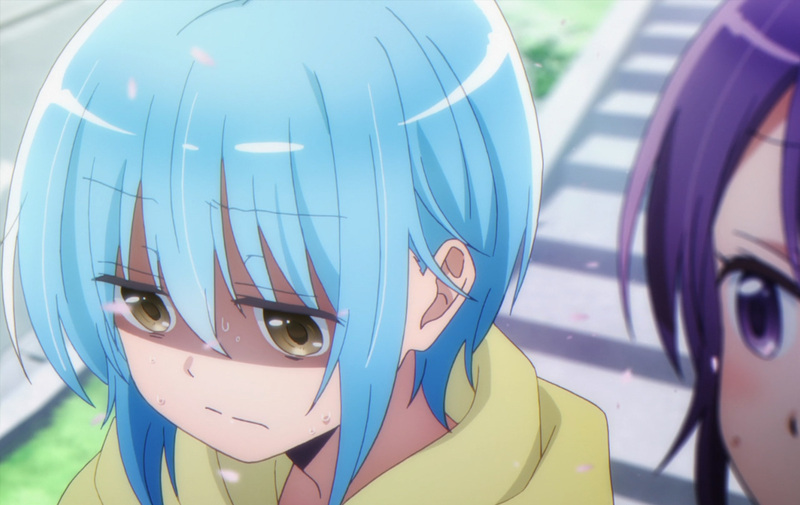 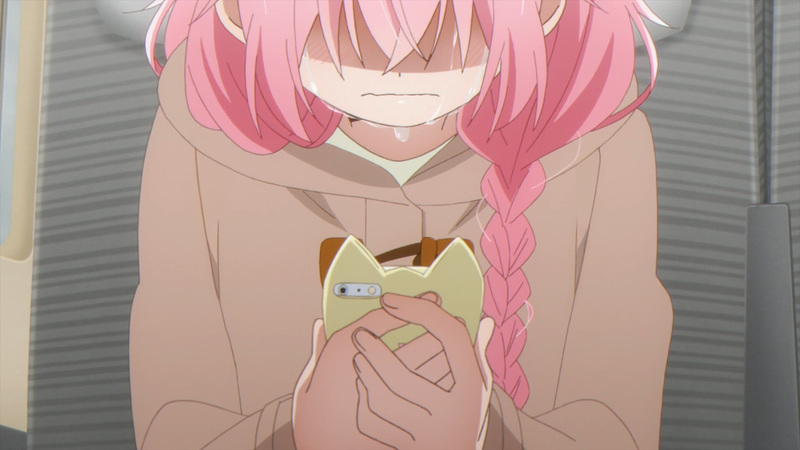 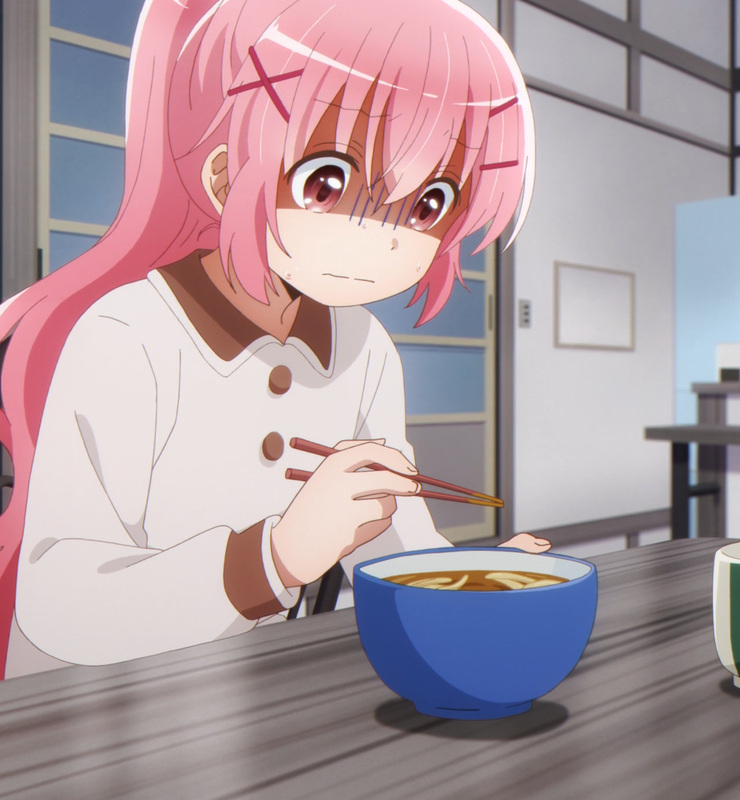 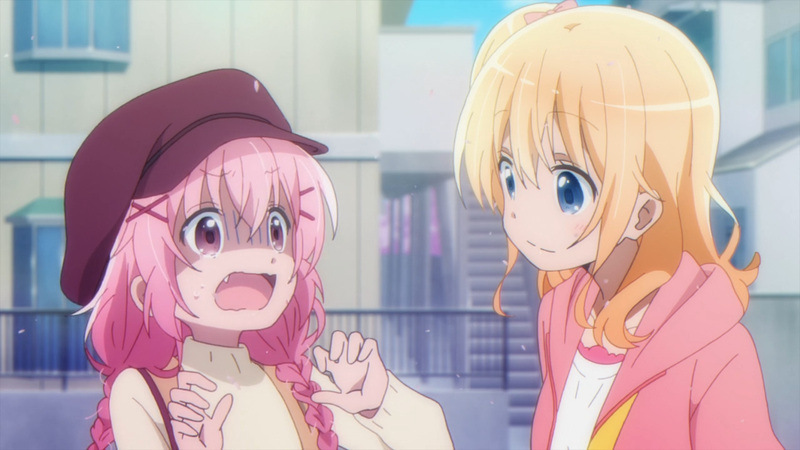 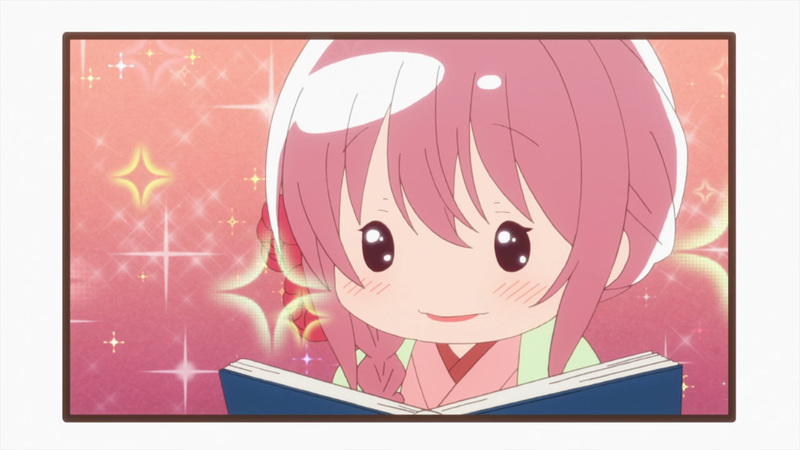 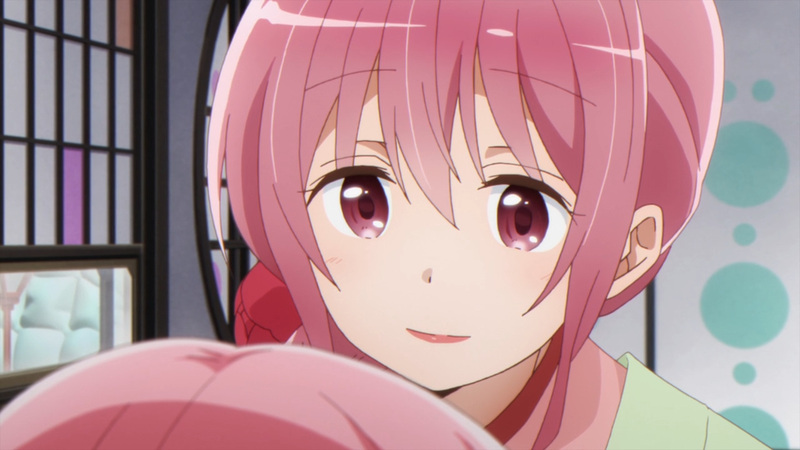 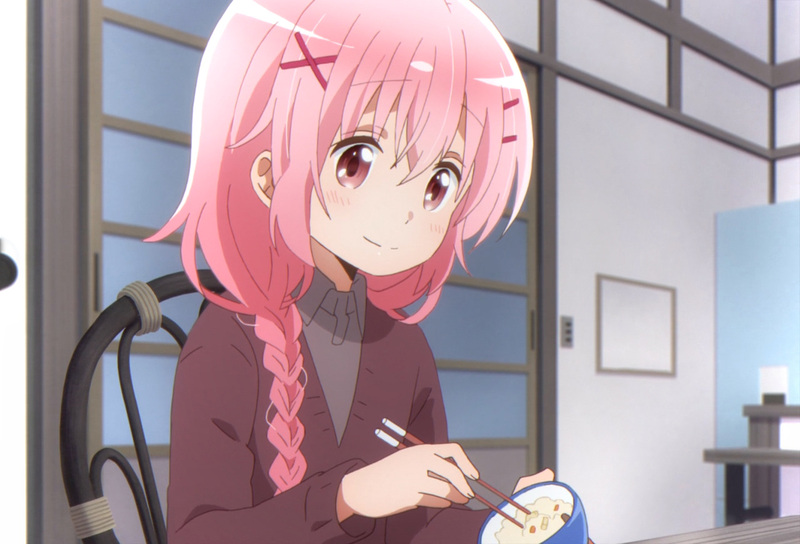 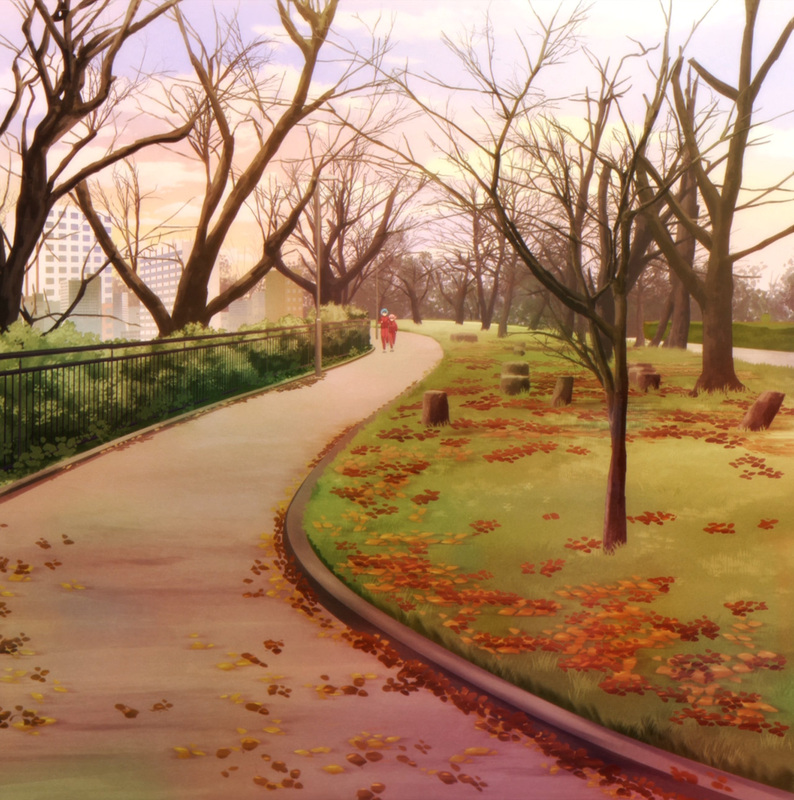 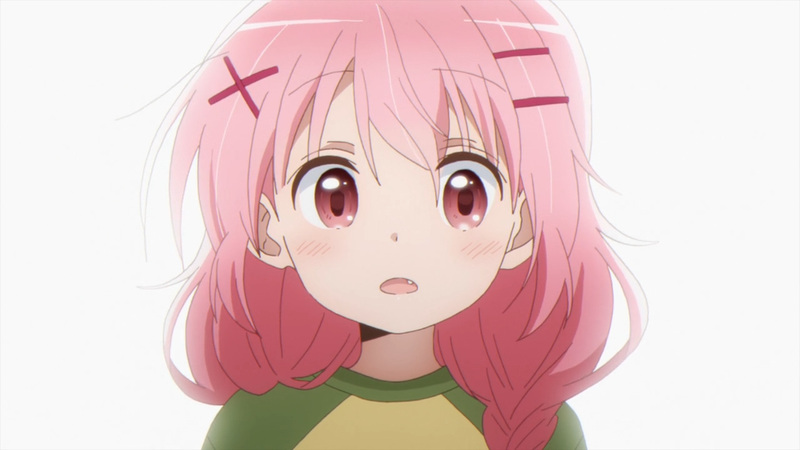 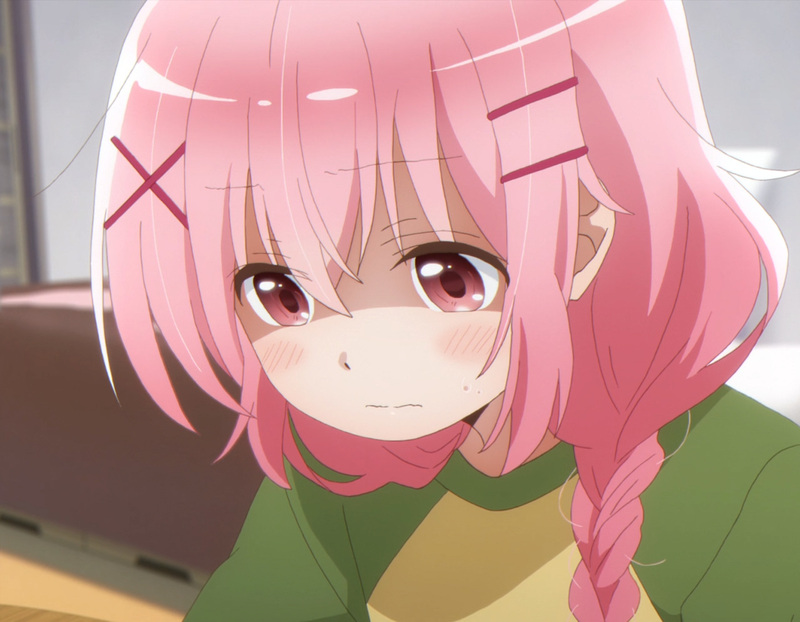 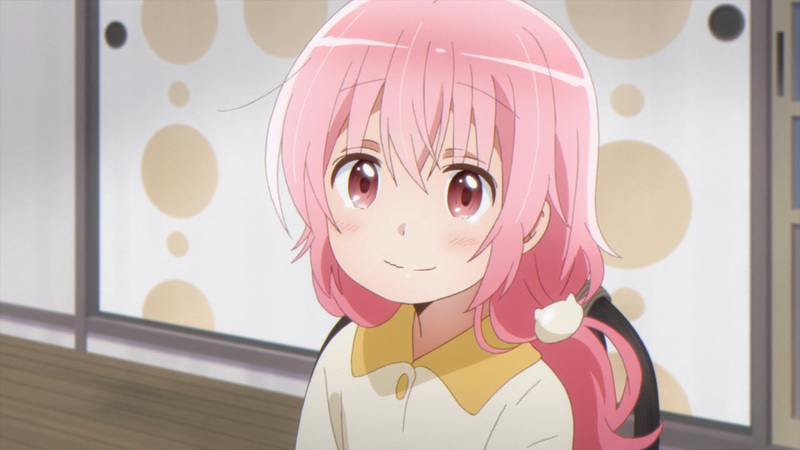 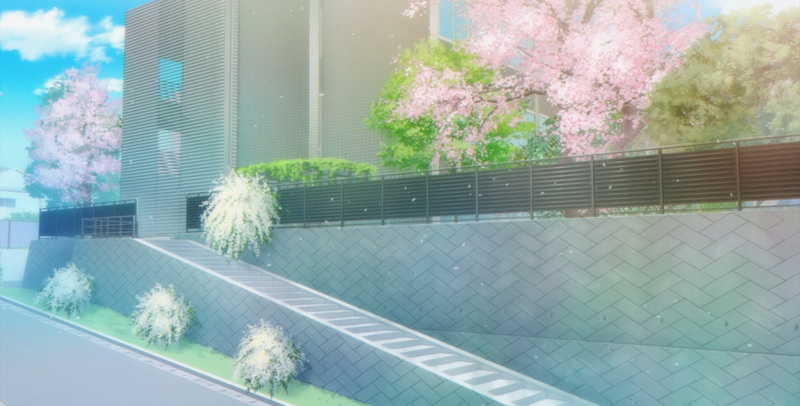 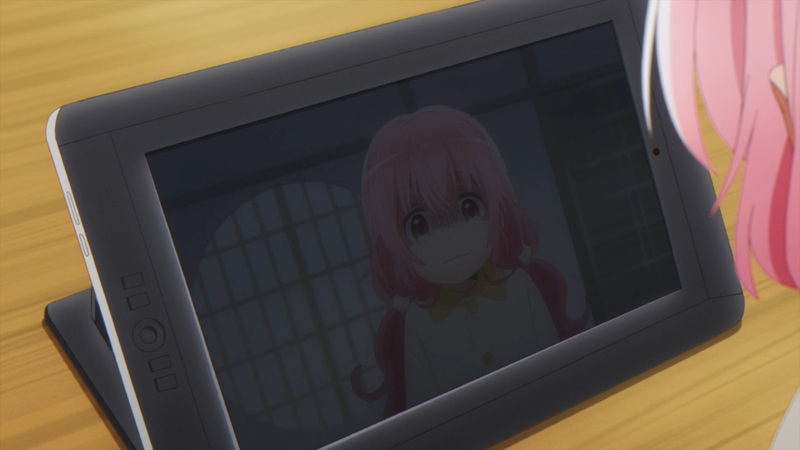 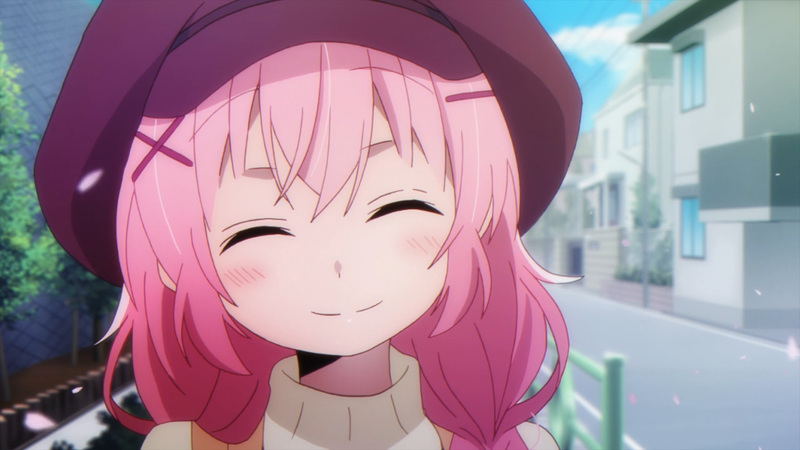 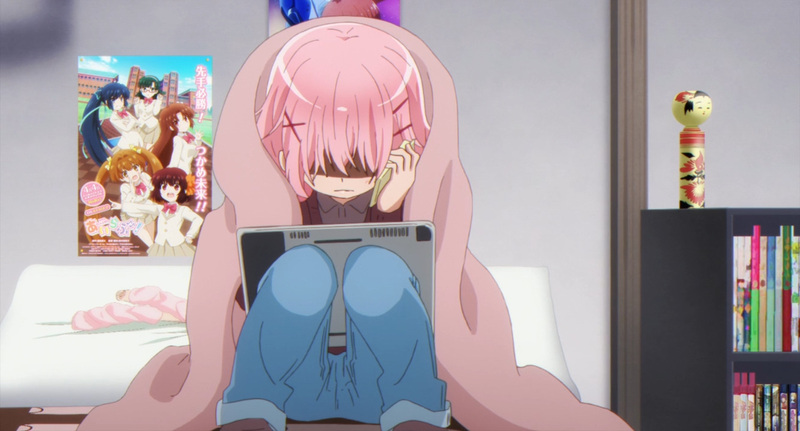 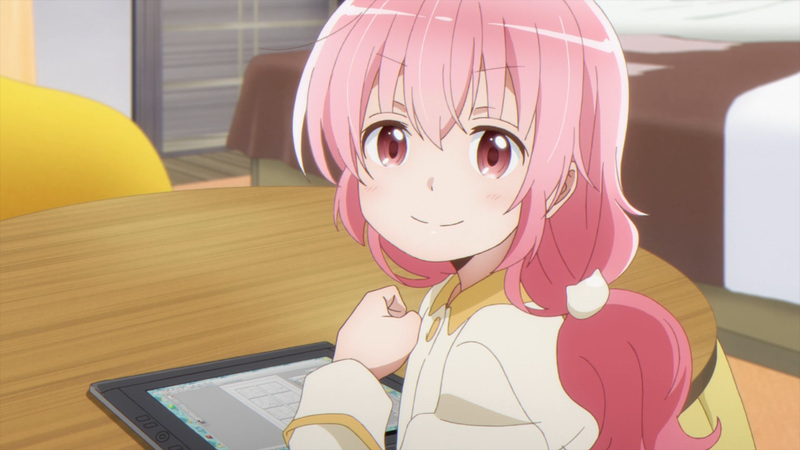 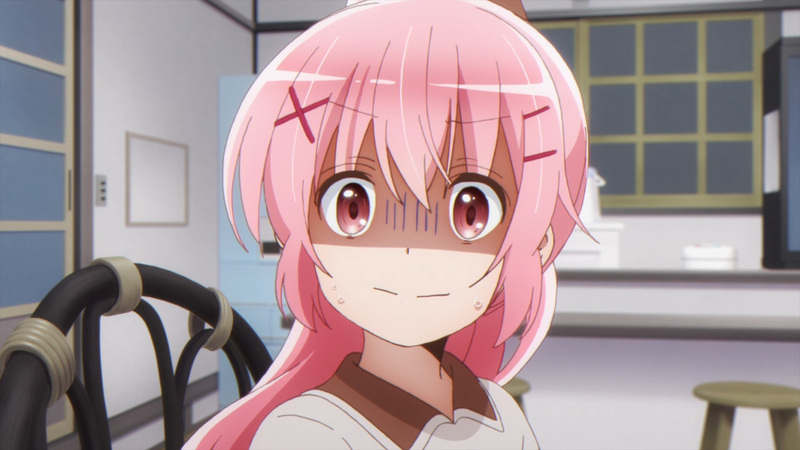 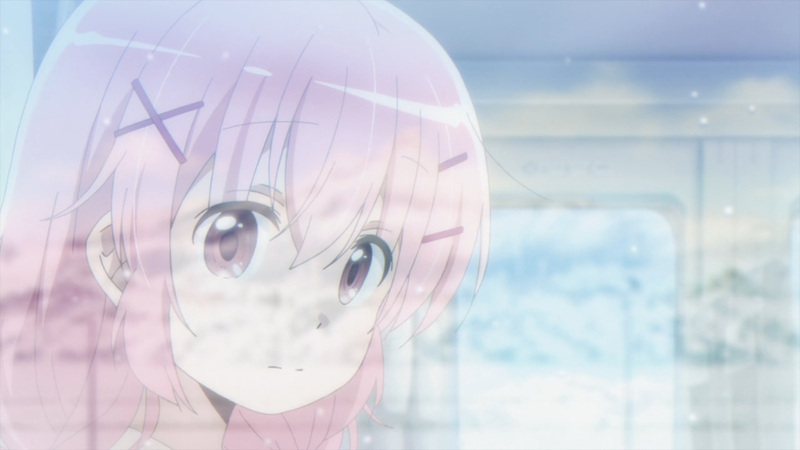 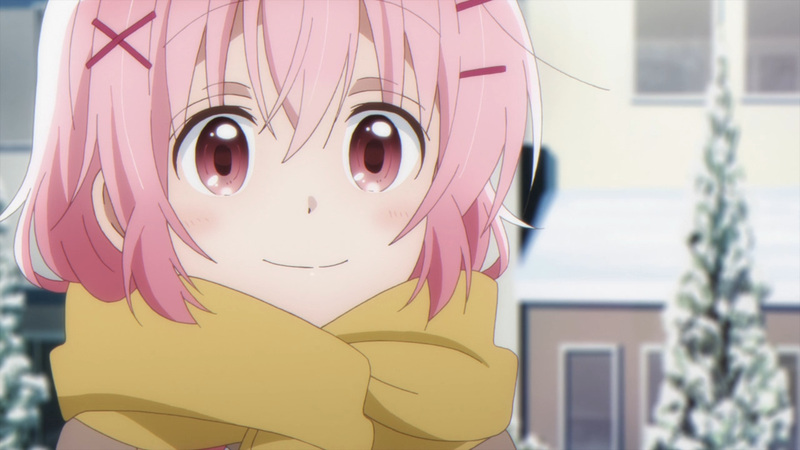 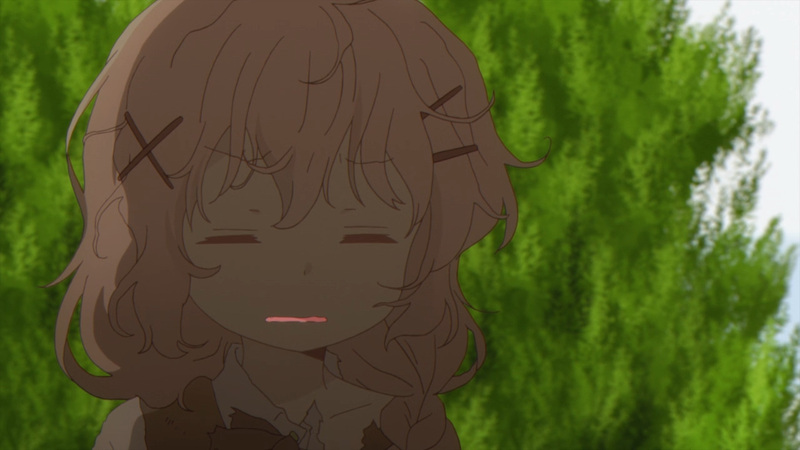 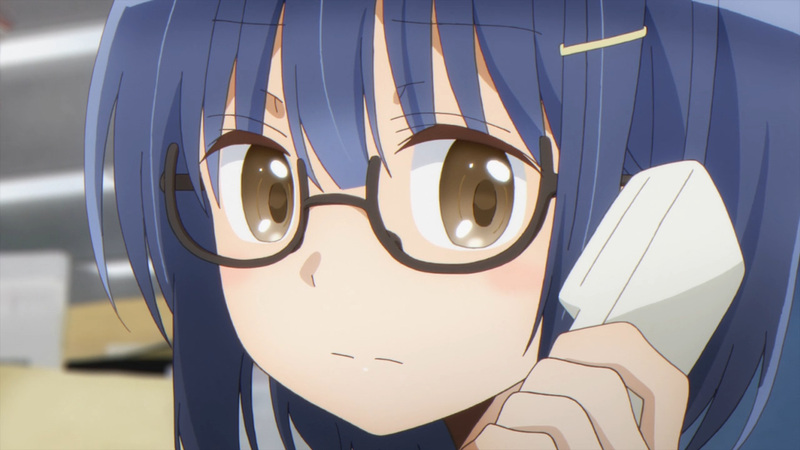 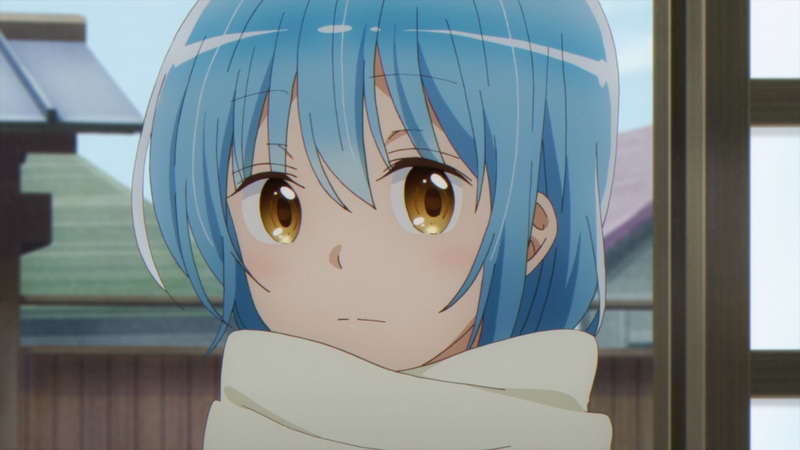 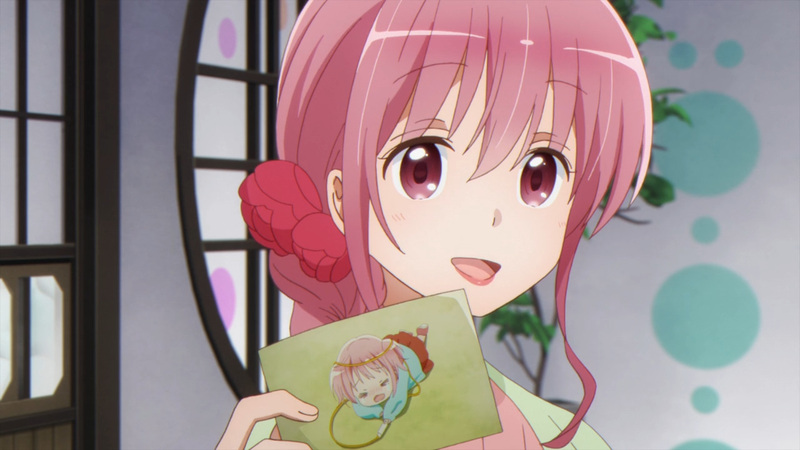 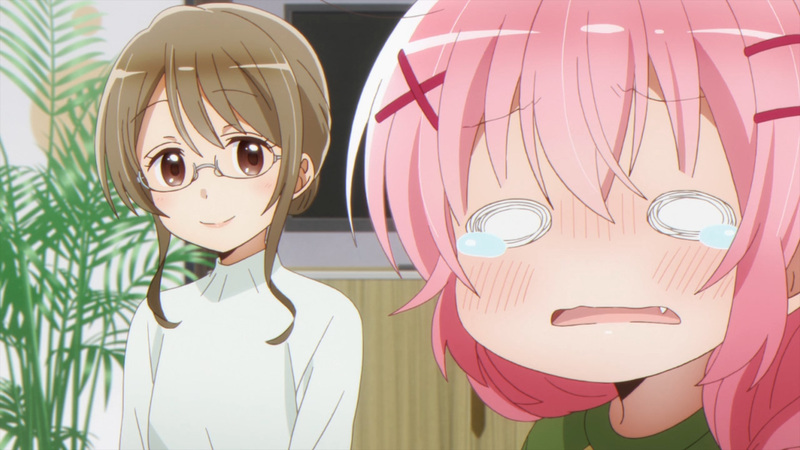 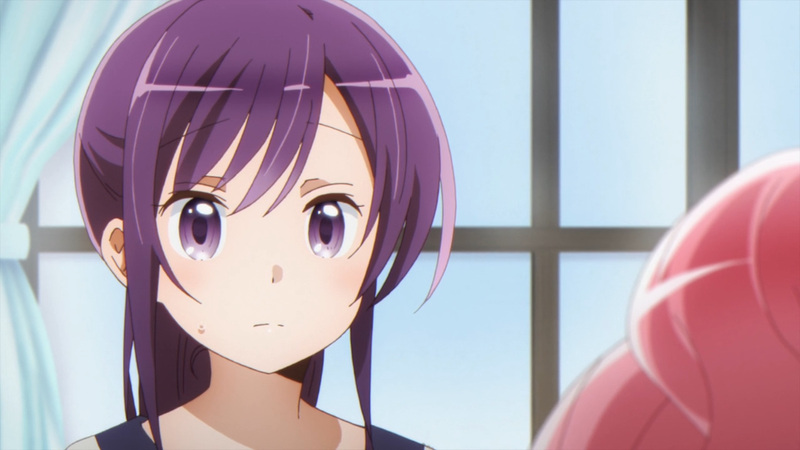 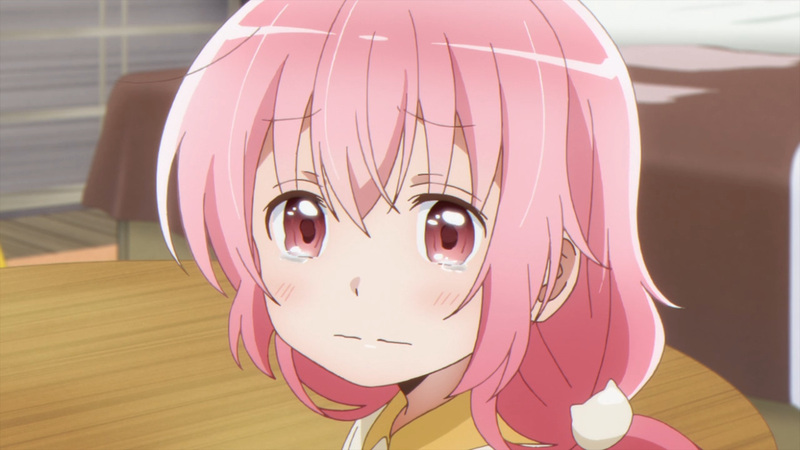 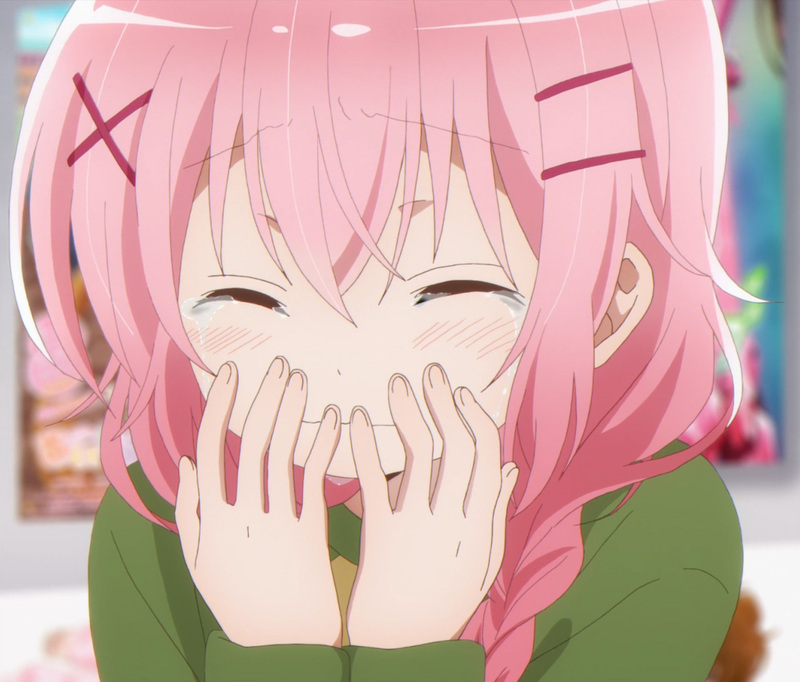 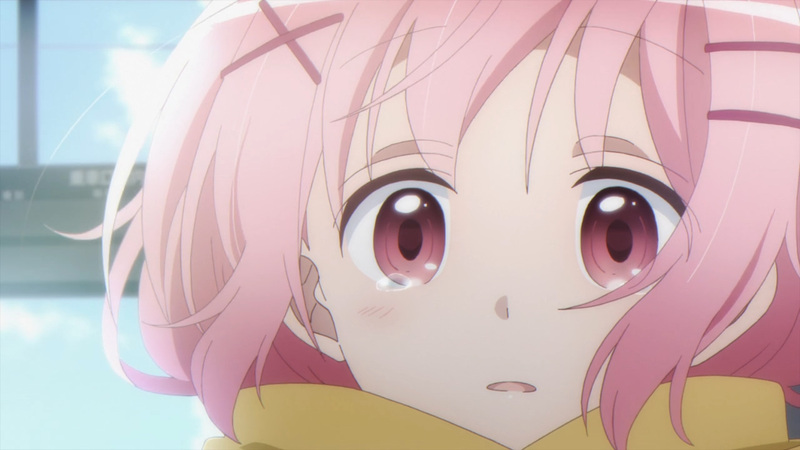 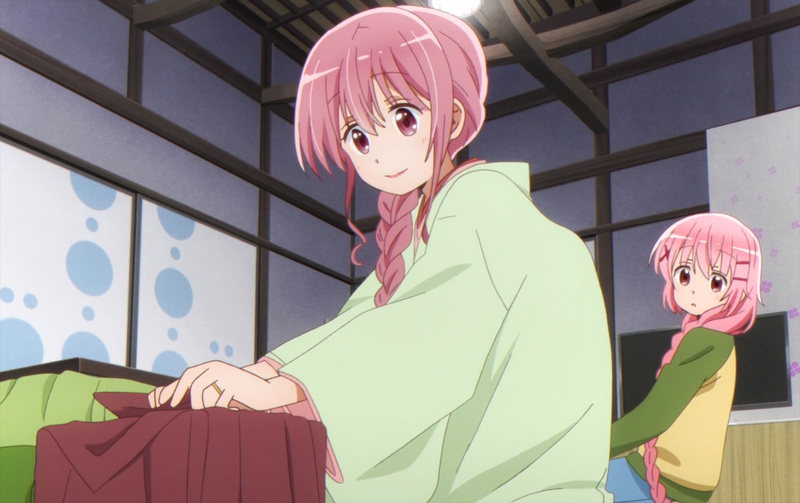 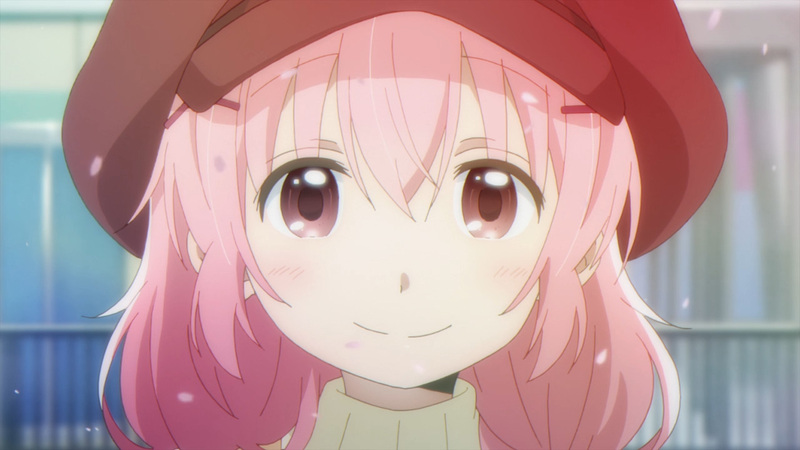 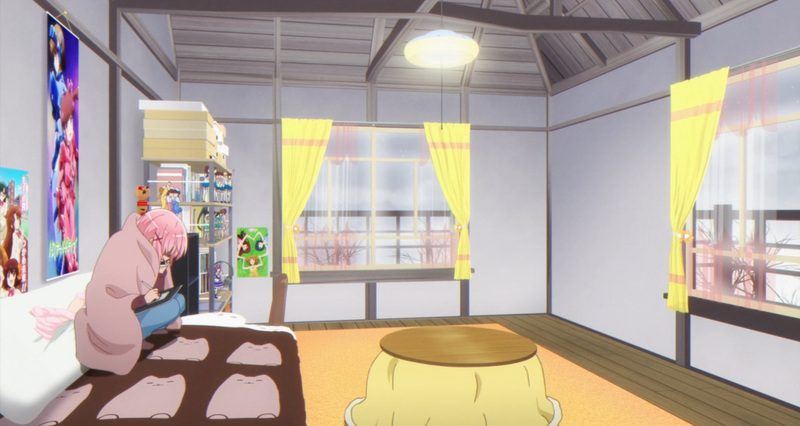 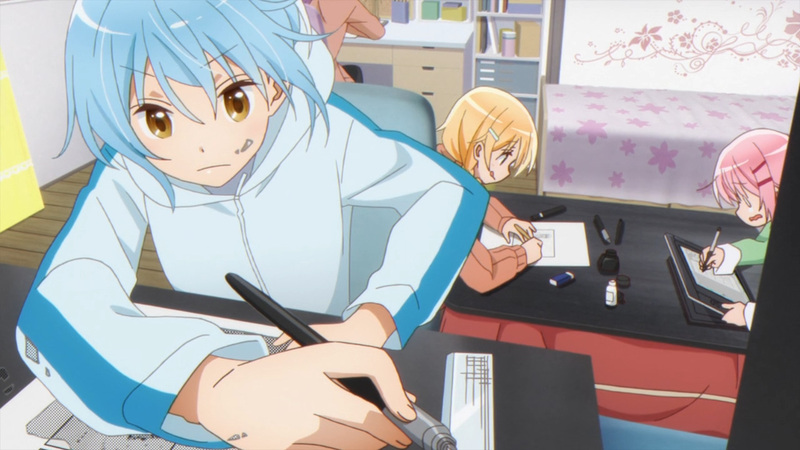 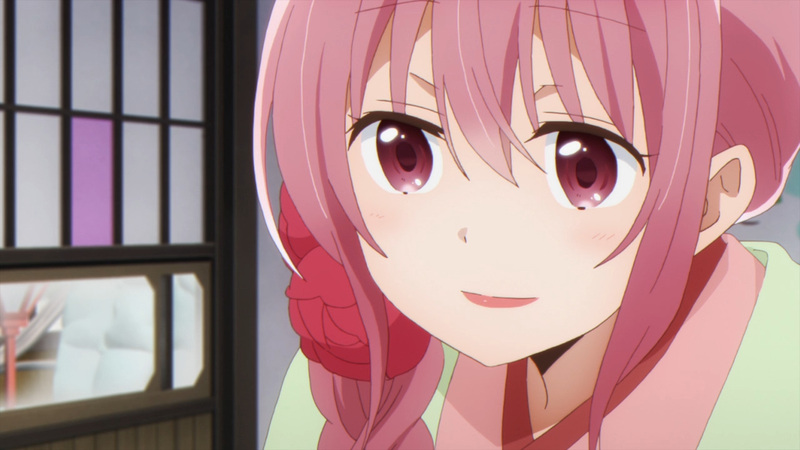 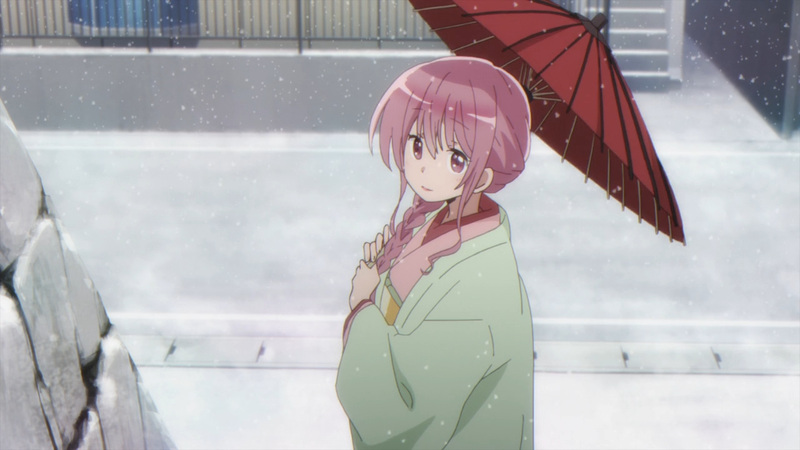 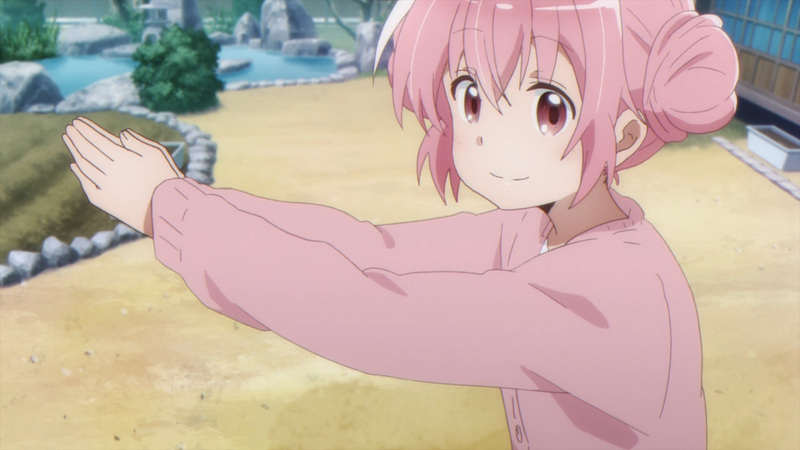 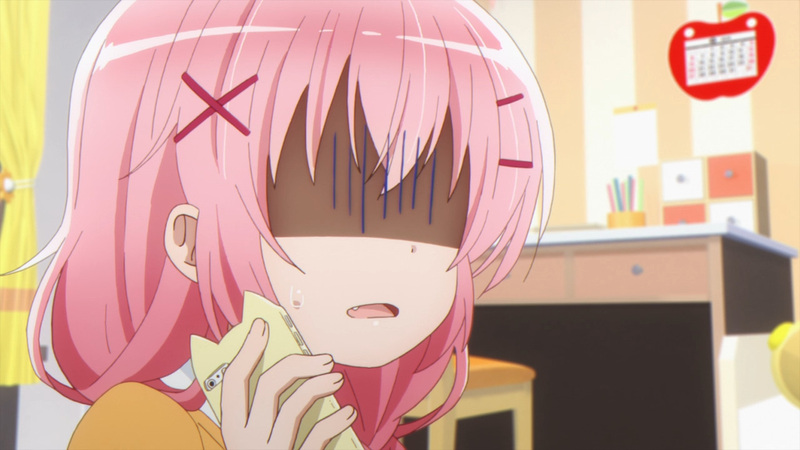 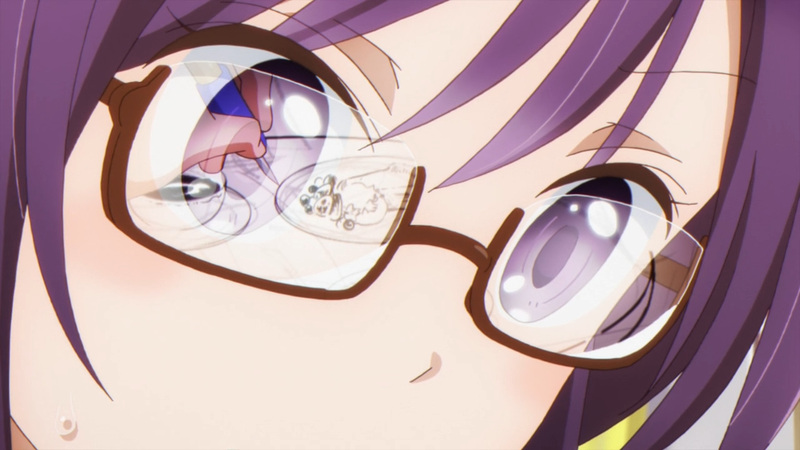 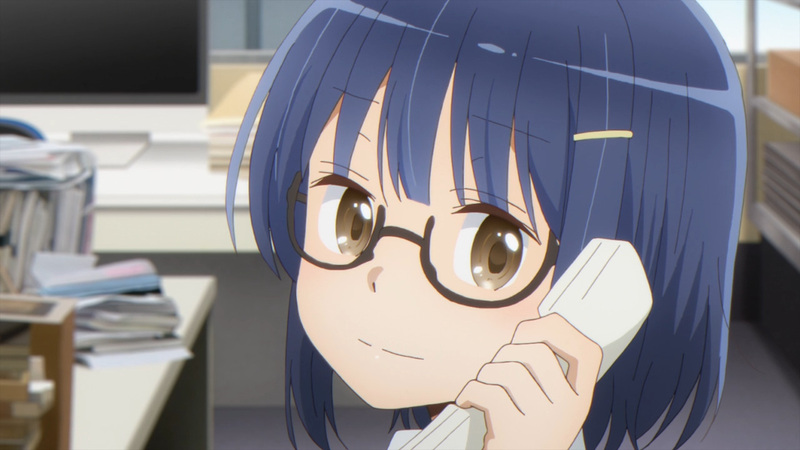 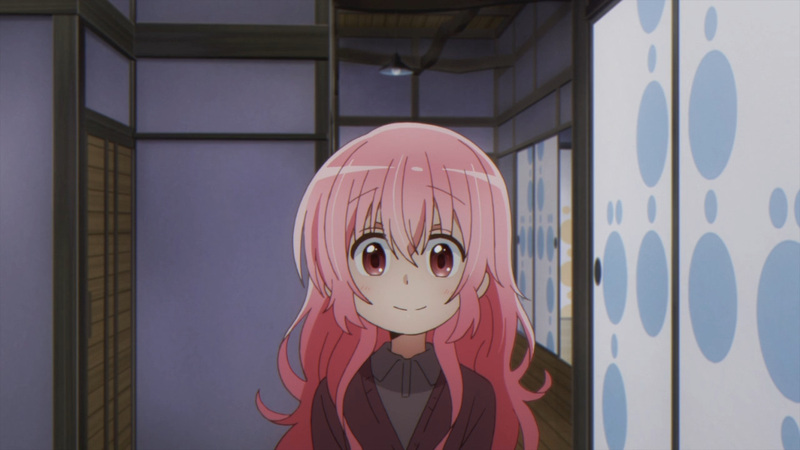 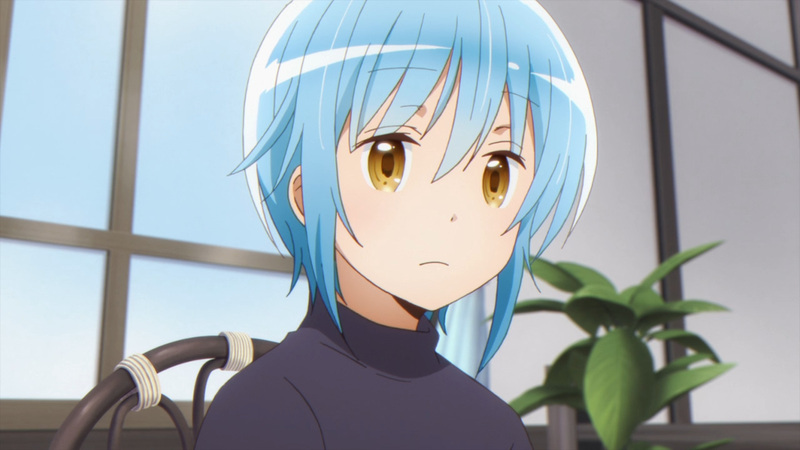 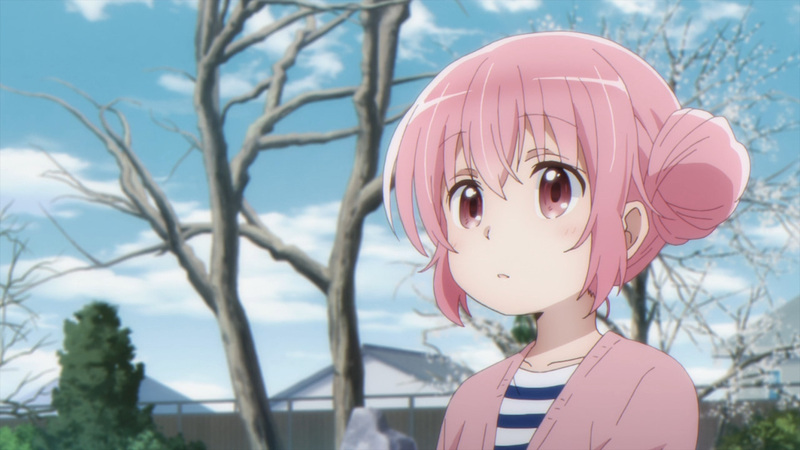 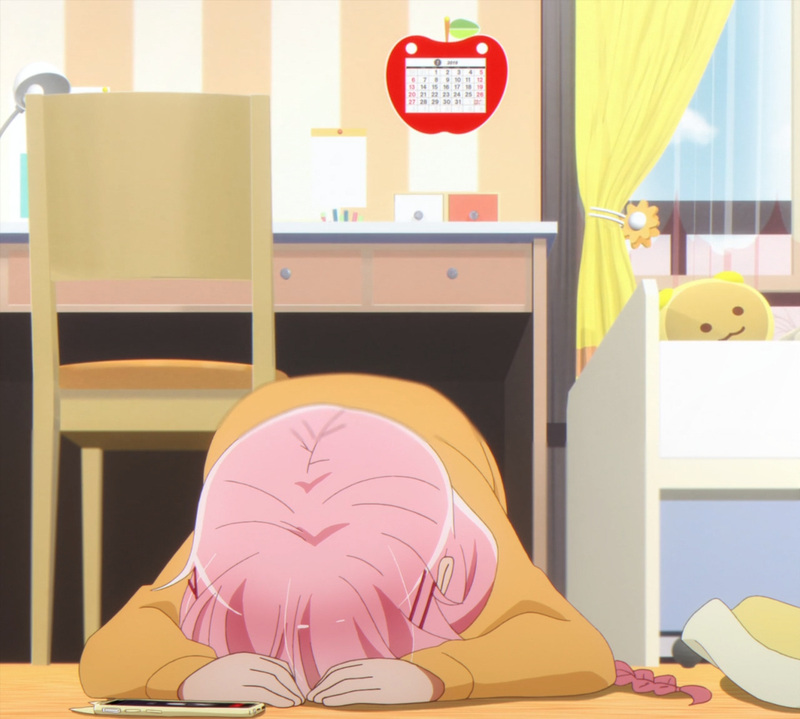 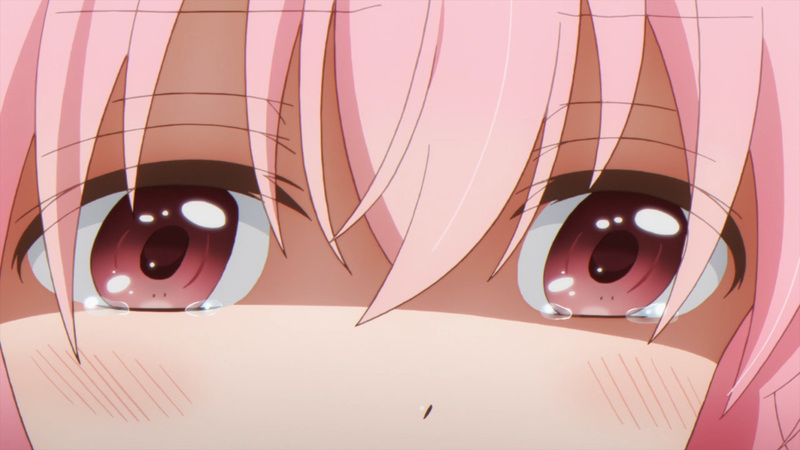 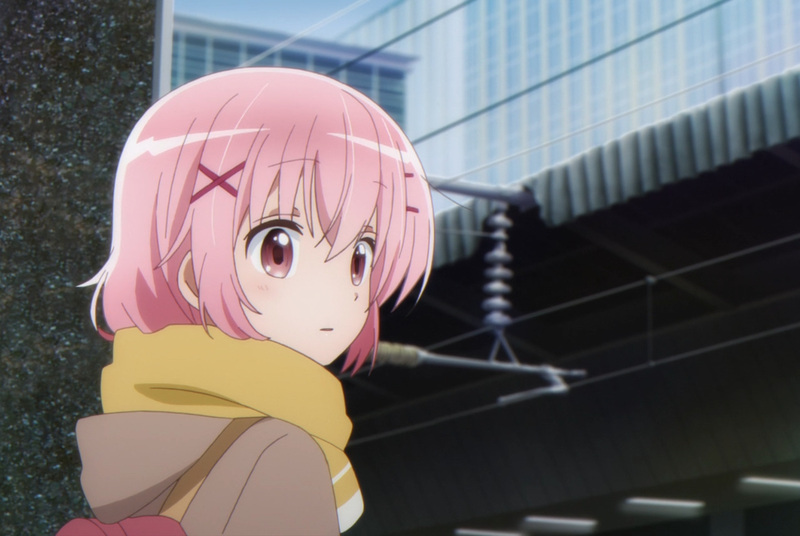 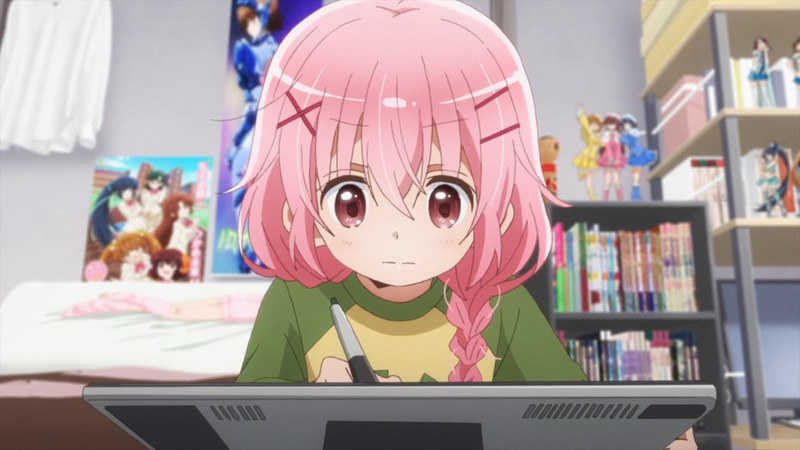 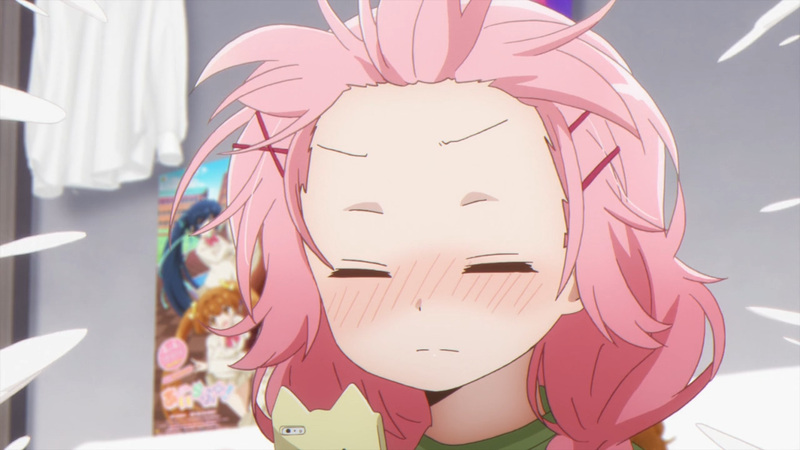 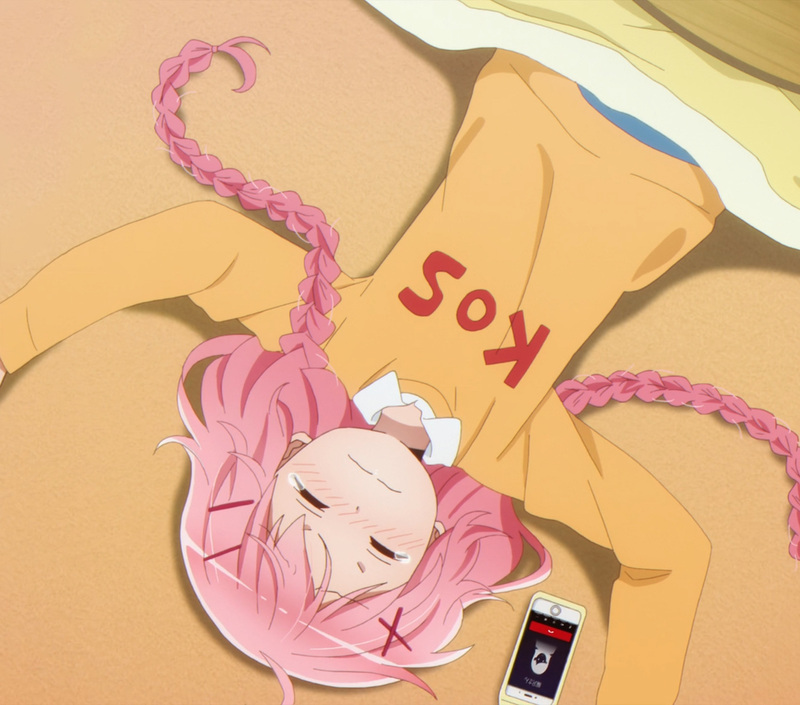 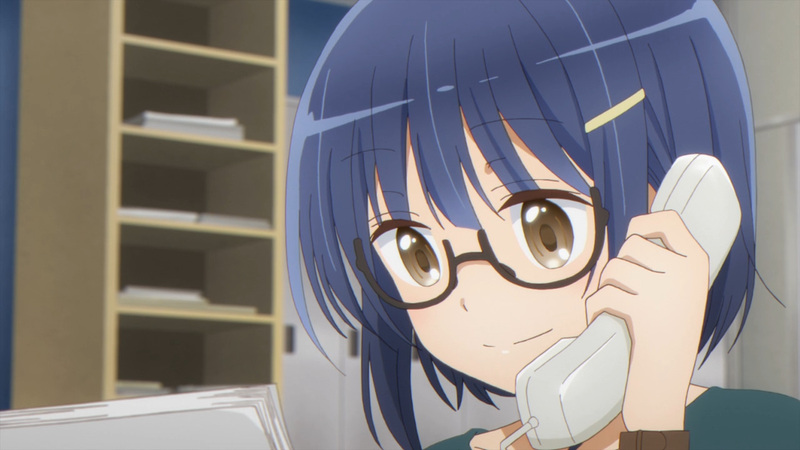 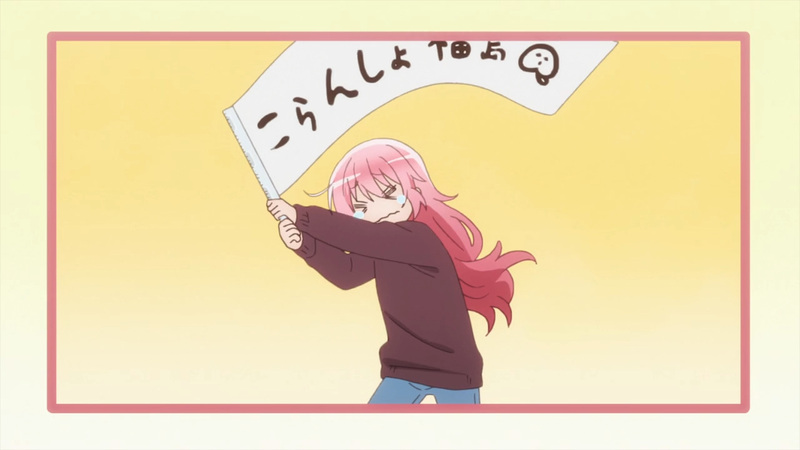 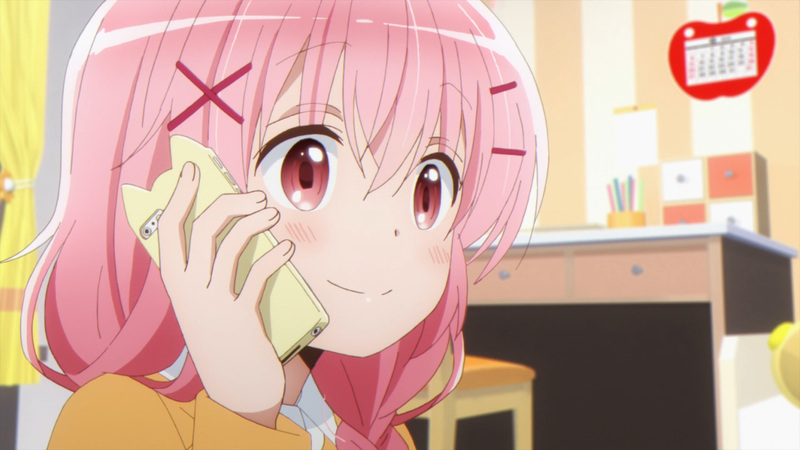 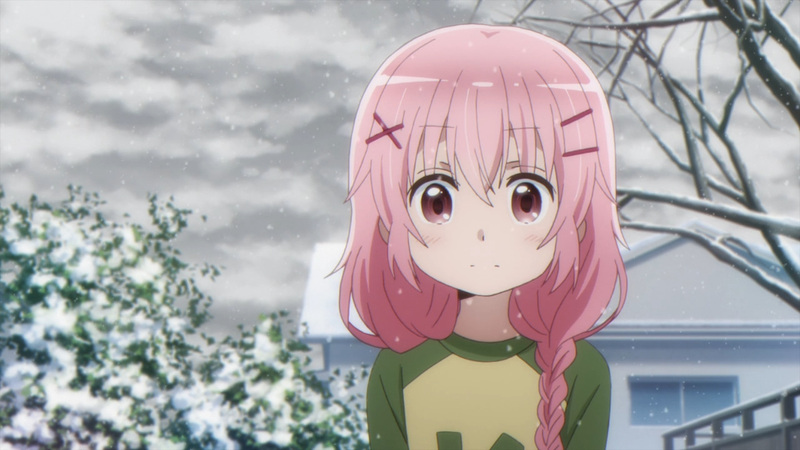 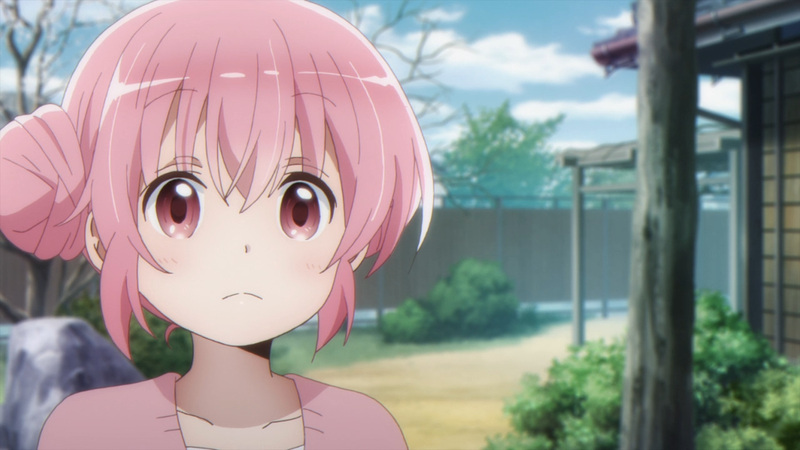 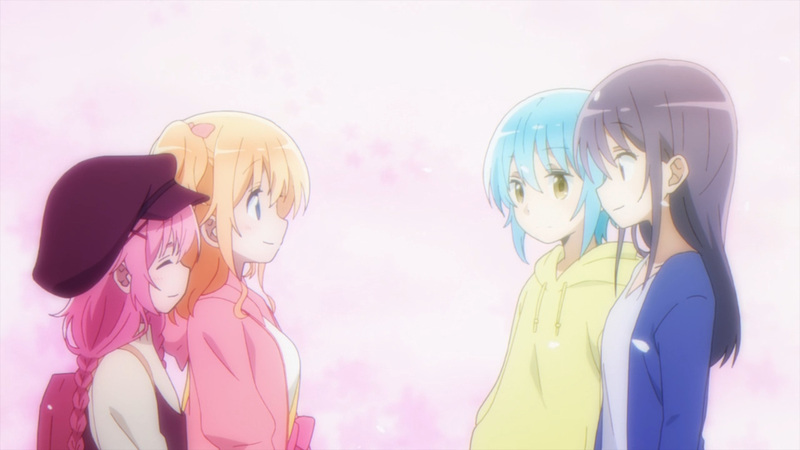 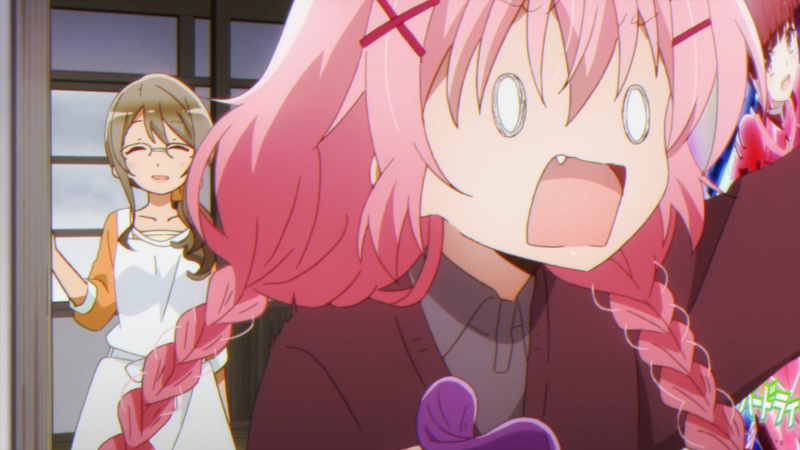 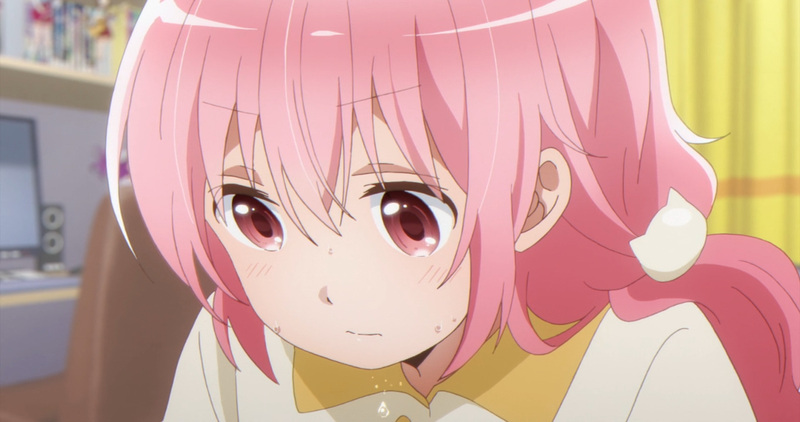 Comic Girls never crossed my mind until I saw a couple pictures from the first episode. 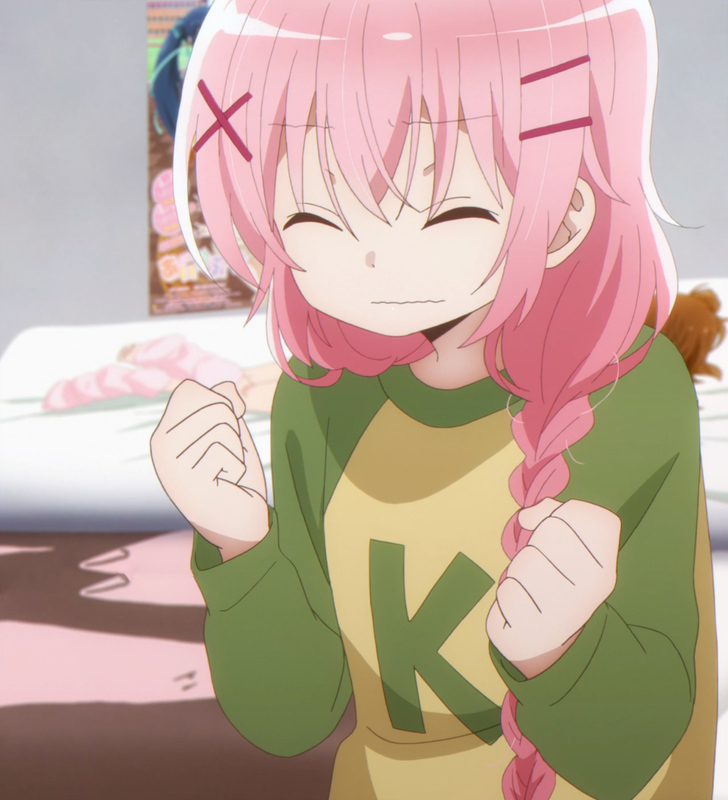 Seeing how energetic and alive the girls were really caught my eye. 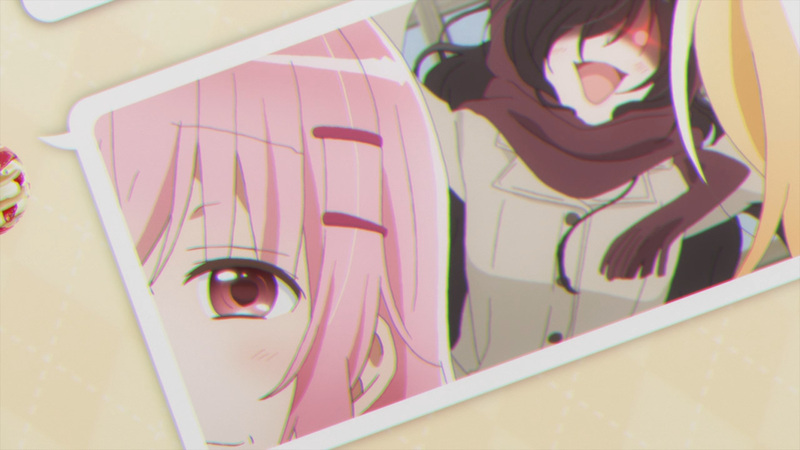 So, looking back I can say that these reviews were well worth it. 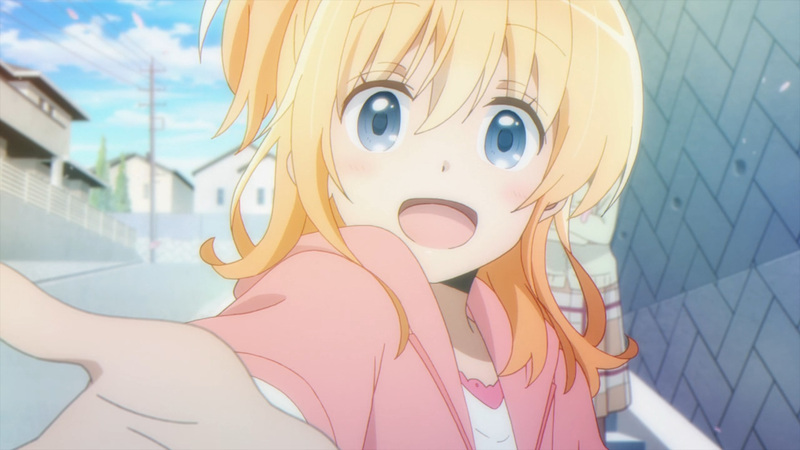 I’m glad I got a chance to cover this show, and I hope my work here helped convince some of you out there. 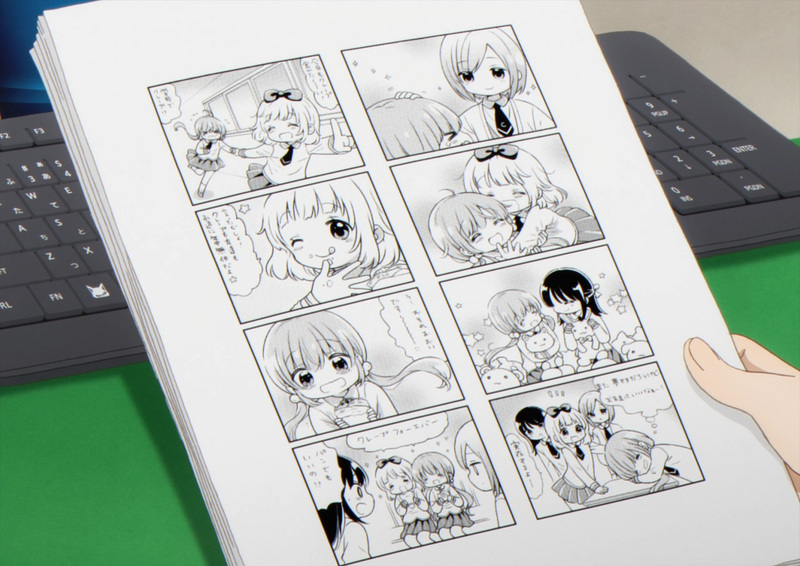 Anyhow, it’s time to wipe away those tears. 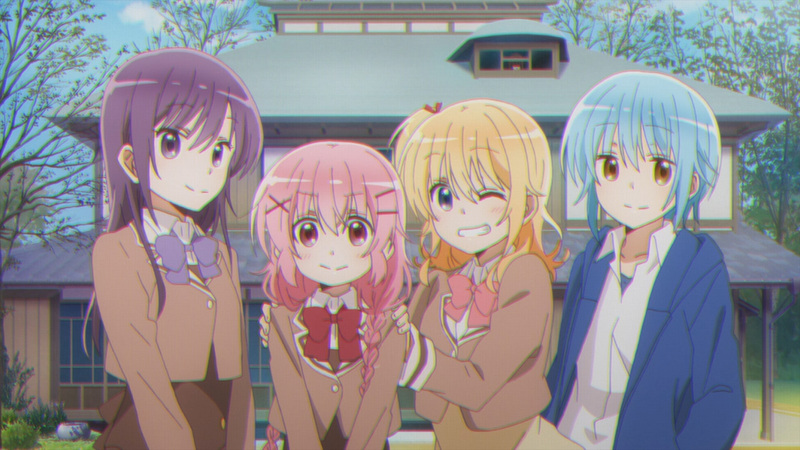 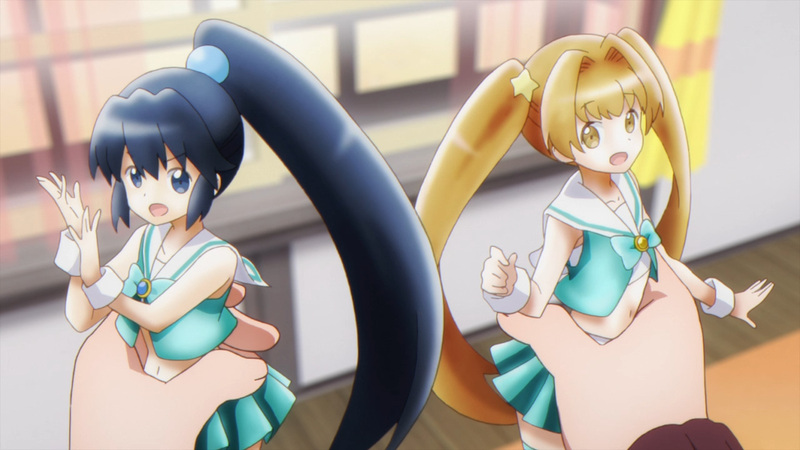 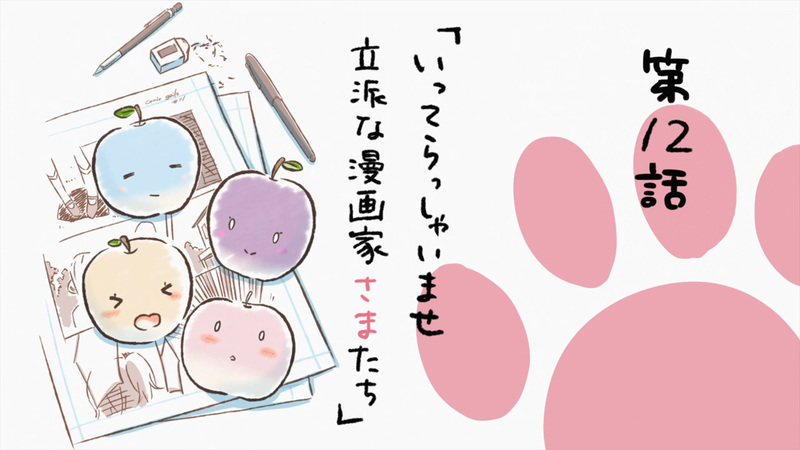 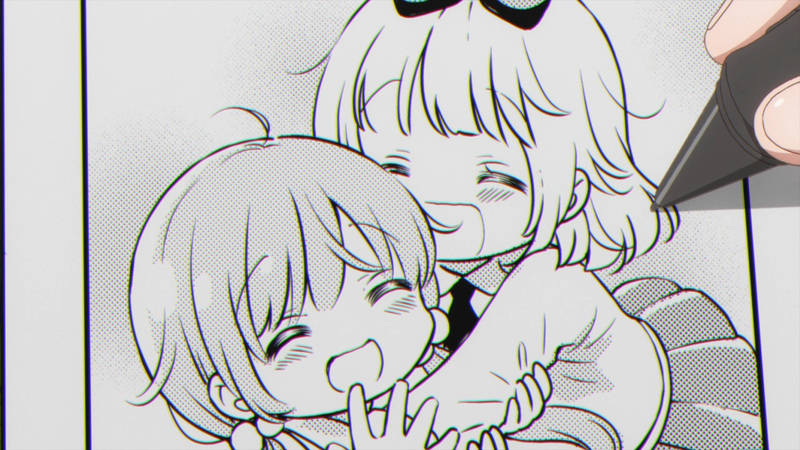 Enjoy our final presentation of Comic Girls! 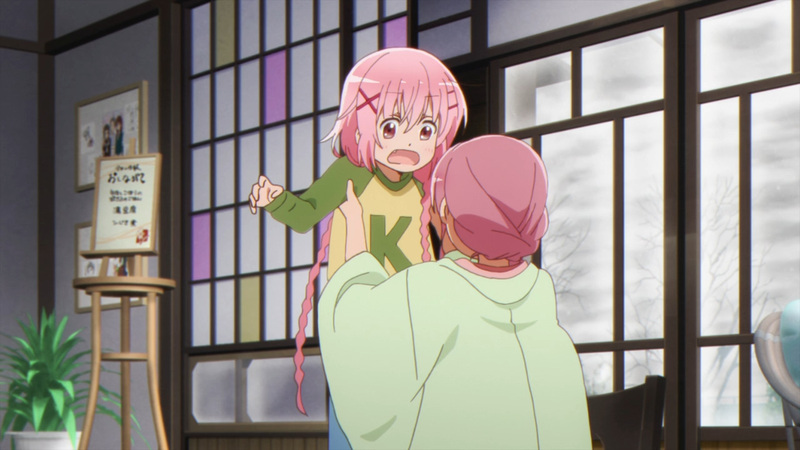 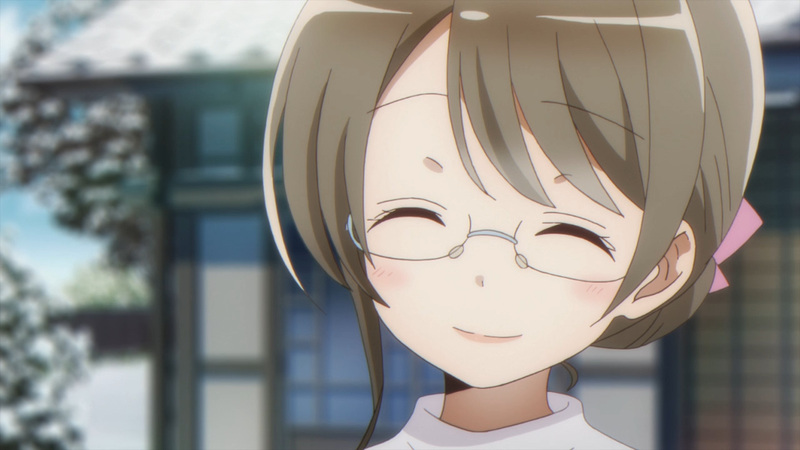 Best of luck, Kaos-sensei! 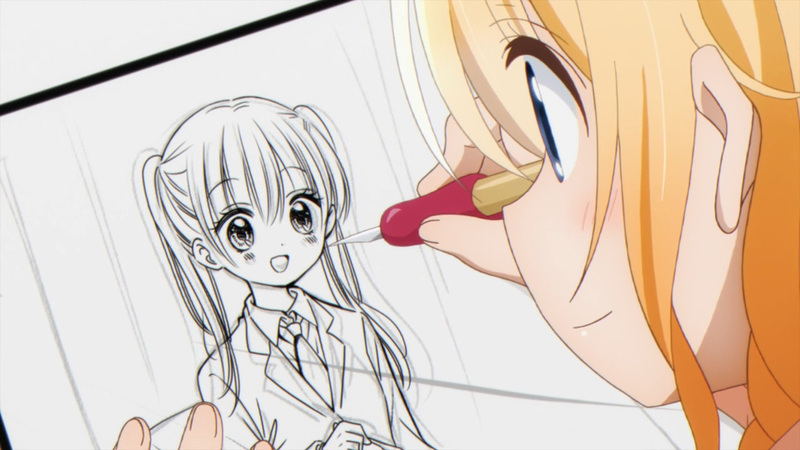 You’ll get your dream manga serialized one day, just believe.